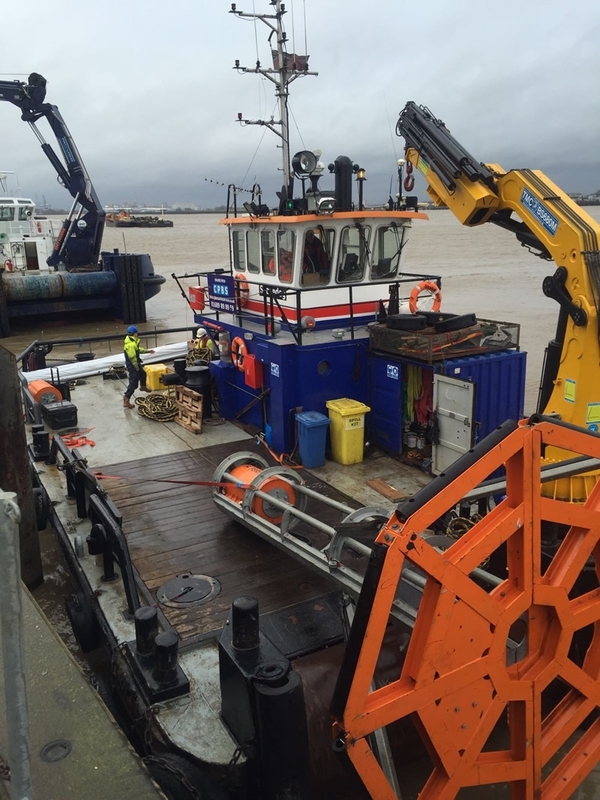 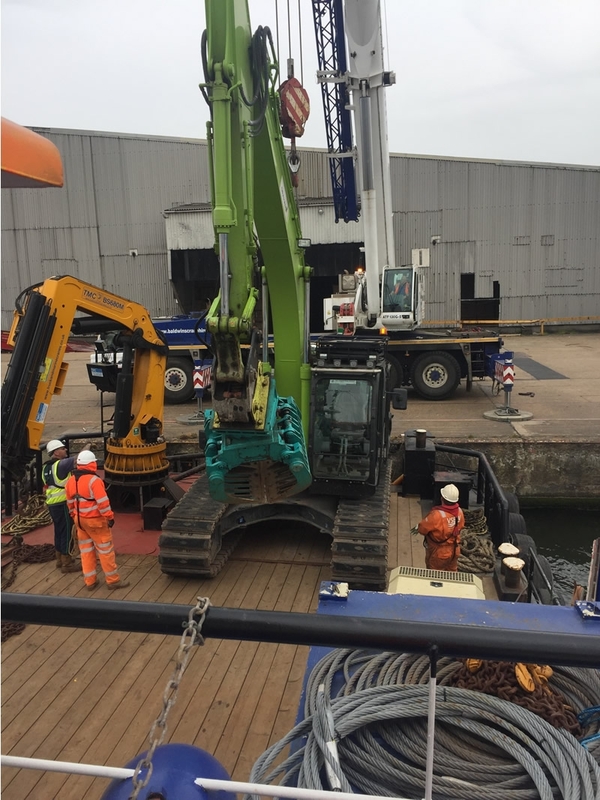 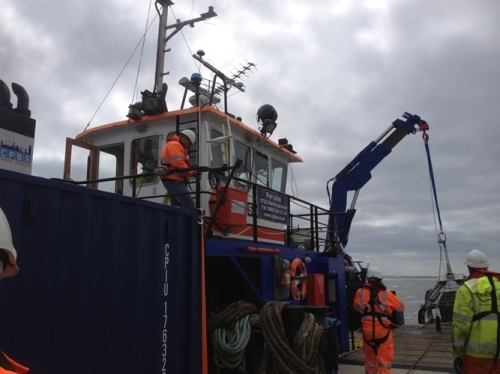 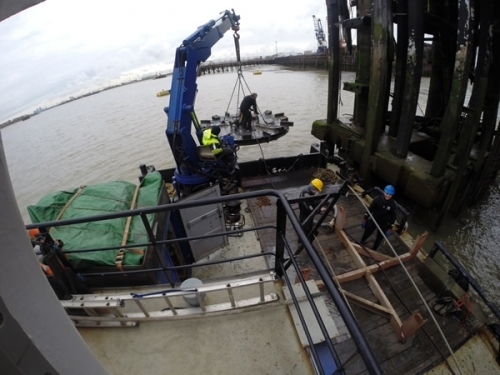 Seadog loading and transporting a 24.5t excavator in Tilbury Dock today as part of the Tilbury 2 project. 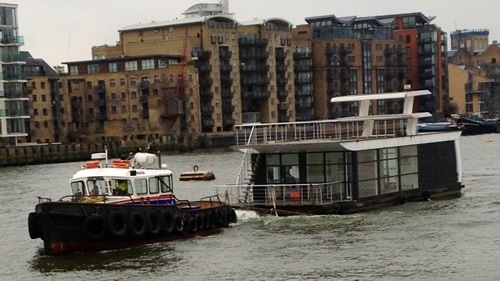 MPV Shake Dog running back from Northfleet to Blackfriars. 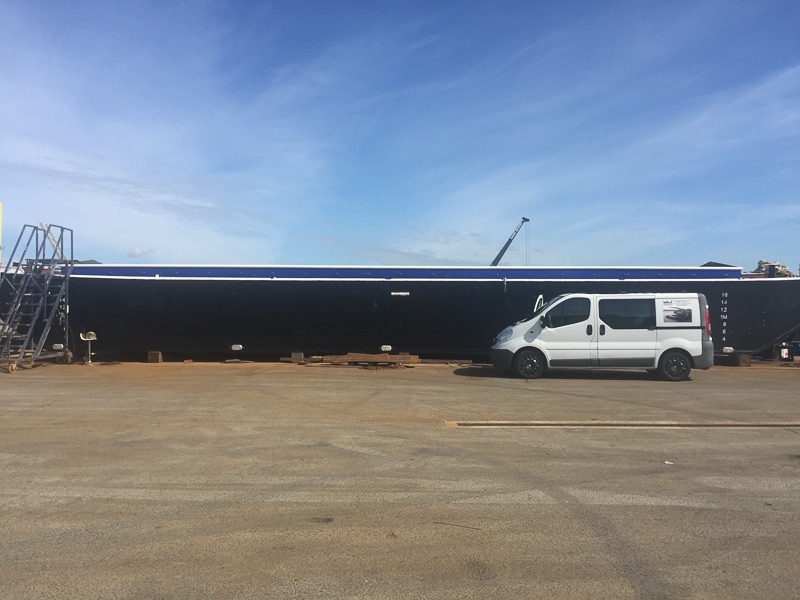 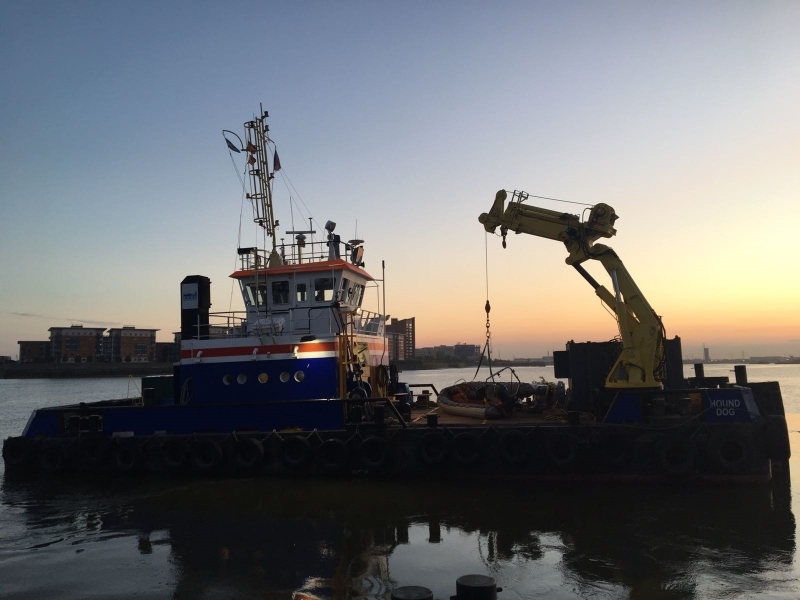 CPBS Multicats Bulldog and Chilidog heading to Denton Wharf this morning to load their decks for their working week for Delphini and UMC. 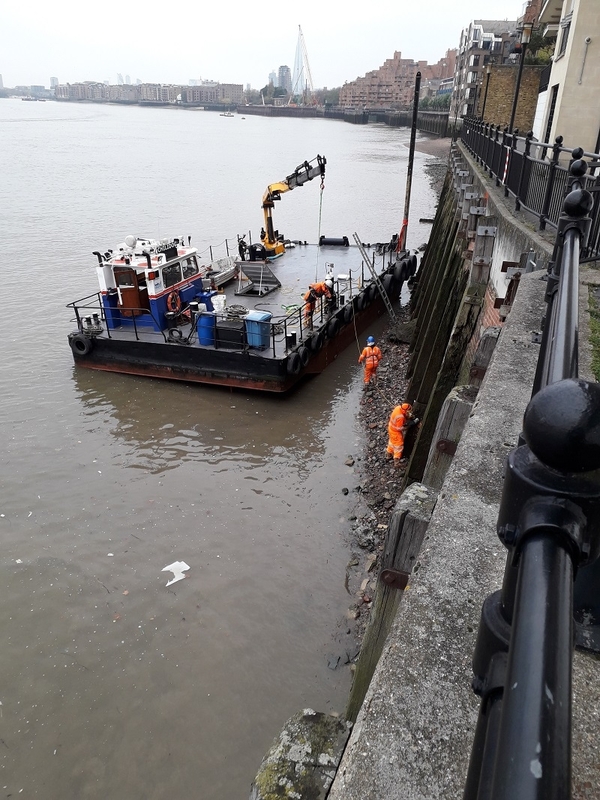 Chili Dog showing her versatility working on the ground removing timber fender piles from the river wall. 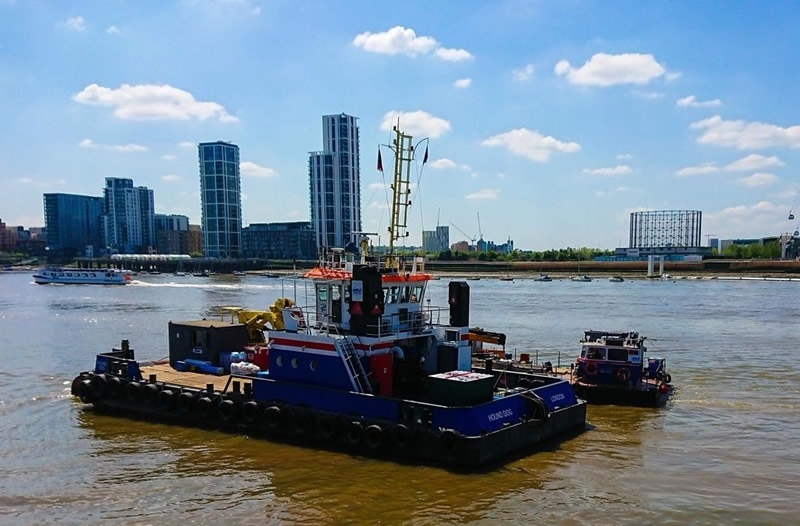 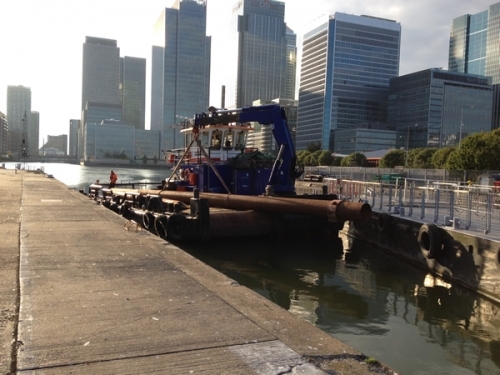 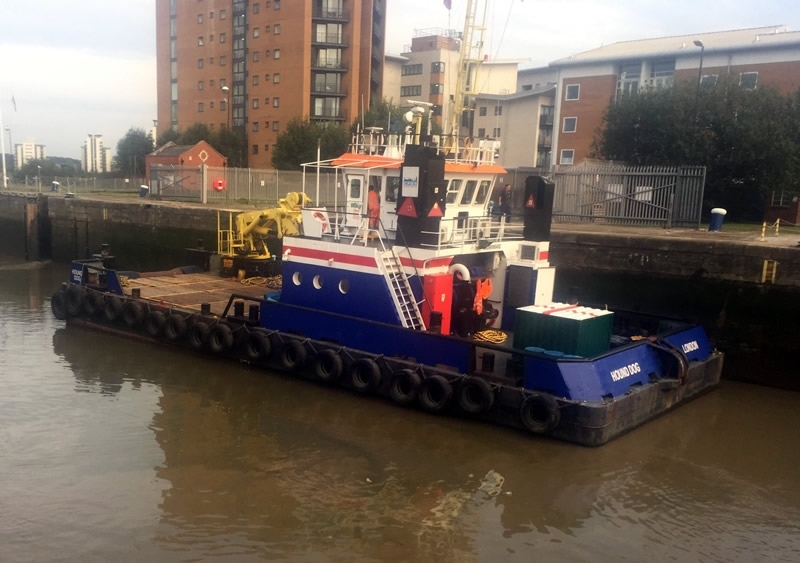 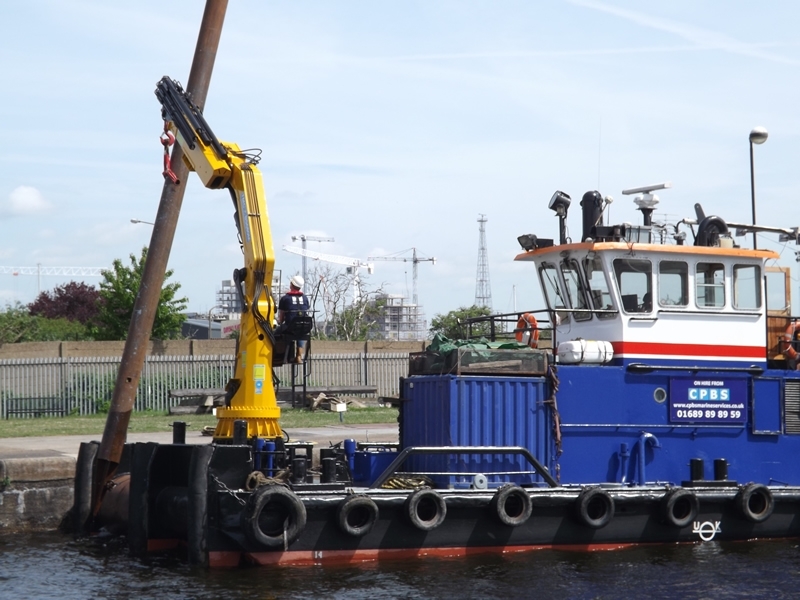 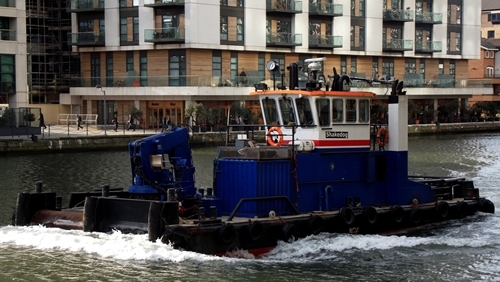 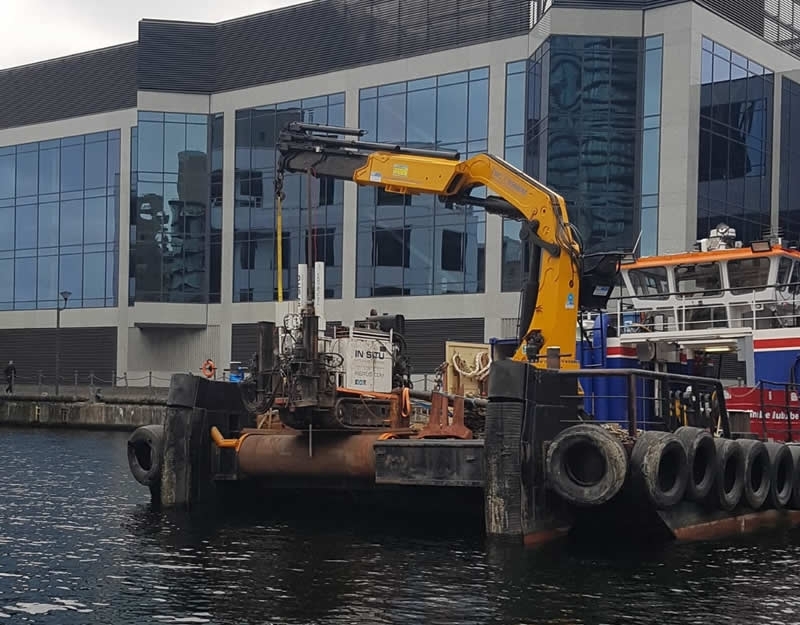 CPBS Multicat ‘Seadog’ under contract with Fellows International for CPT works in the Millwall Dock. 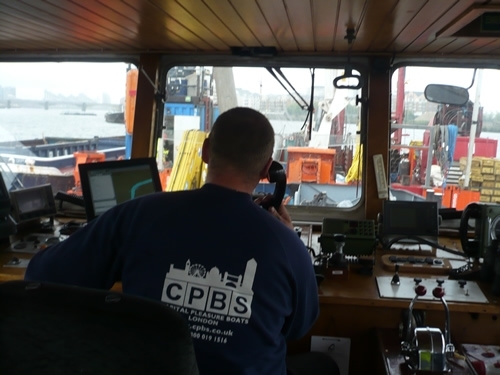 MPV Shake Dog hard at work. 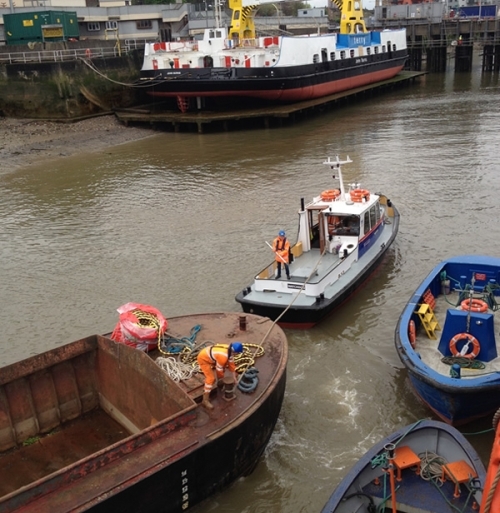 Bulldog and Hot Dog awaiting high water to enter the Barking Barrage before carry out salvage operations. 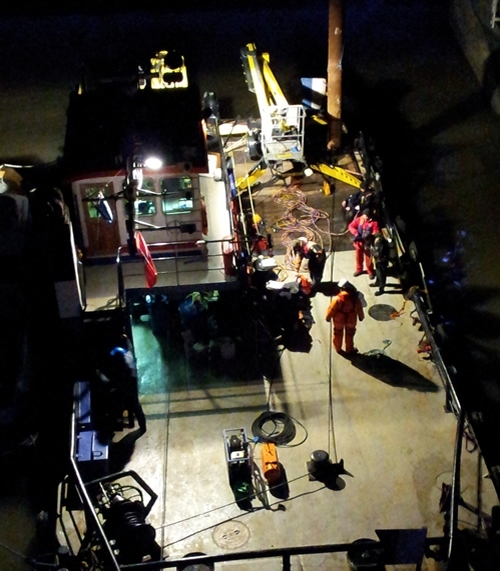 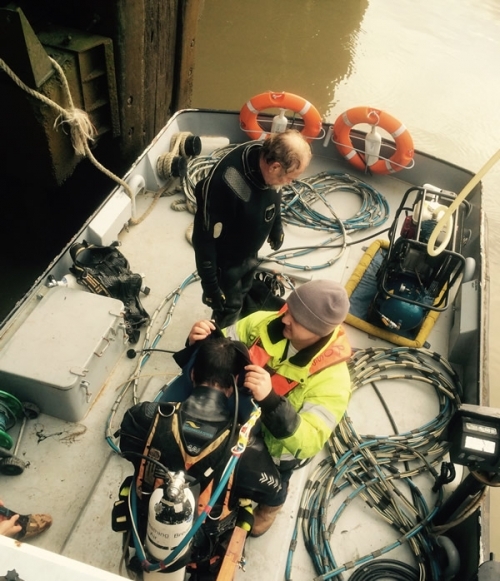 Chili Dog working with divers on the Thames Tideway Tunnel Blackfrairs site. 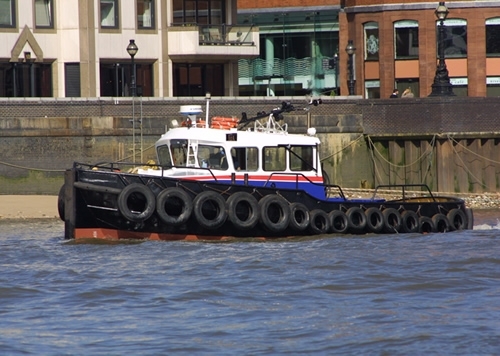 M.P.V. 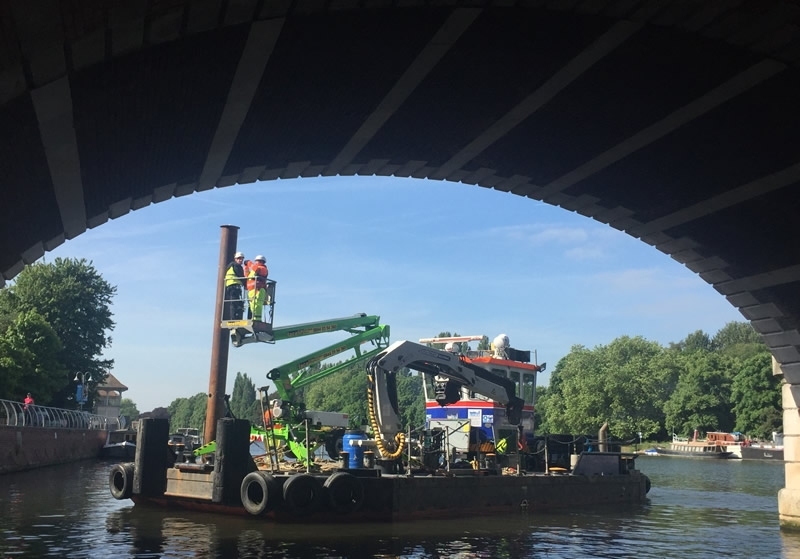 Bulldog carring out a structural survey of Kingston Bridge for Damjul and TFL. 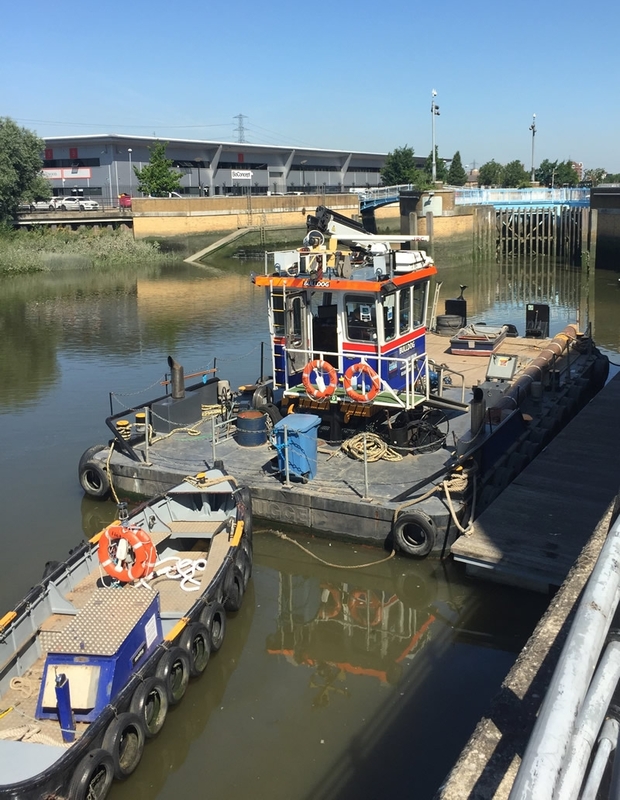 Bulldog and Hot Dog ready for a two day survey of Kingston road bridge on behalf of TFL. 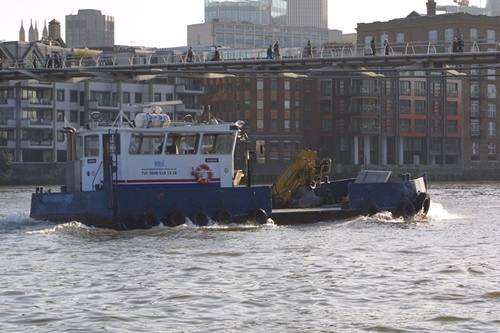 Seadog and Shakedog during salvage ops at London Bridge. 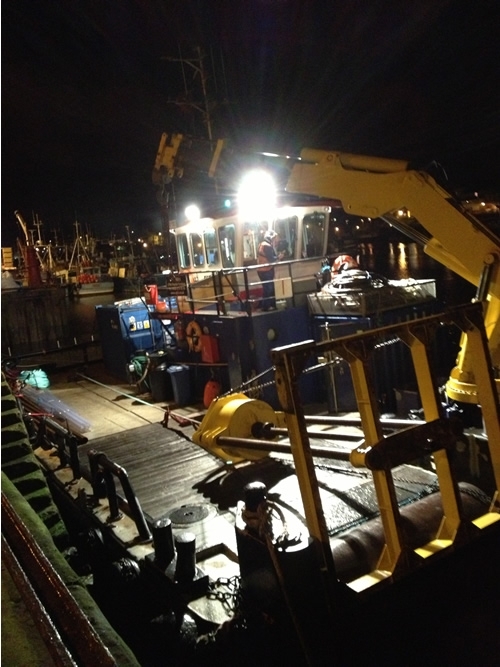 Seadog and Shakedog ready for work on a Monday morning. 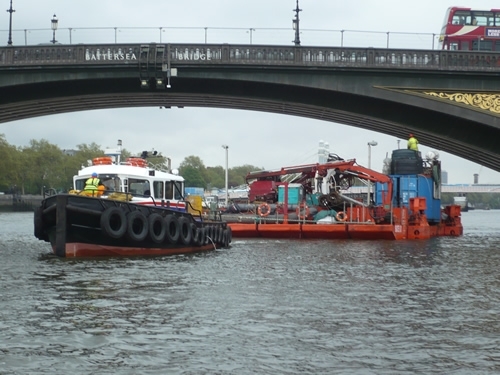 Shake Dog and Sea Dog towing the CM2007 past the London Eye on its way to Chelsea for FLOJV. 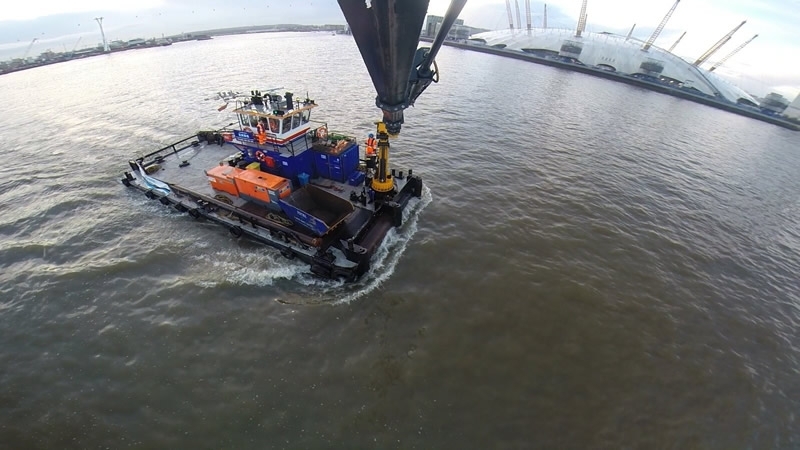 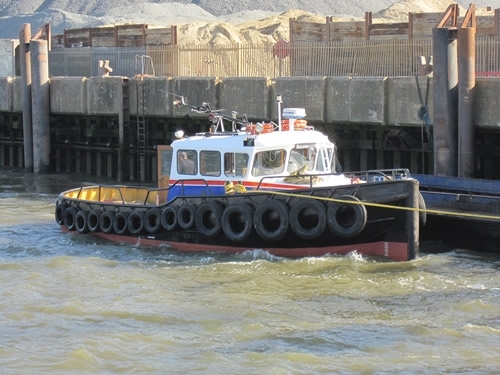 Multicat Shake Dog towing barge Happy outward bound for Northfleet. 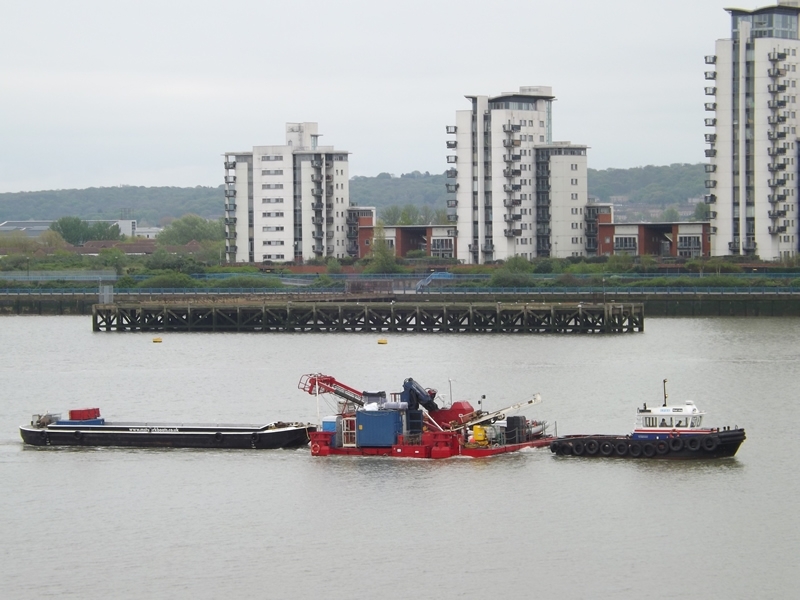 Seadog passing Woolwich bringing a loaded supply barge from Northfleet to Blackfrairs. 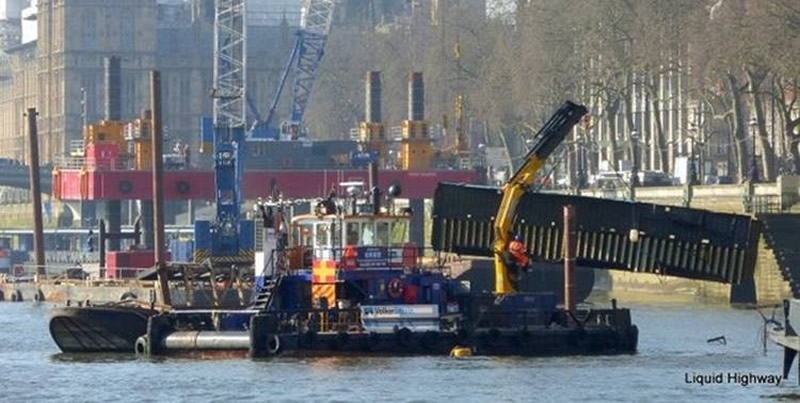 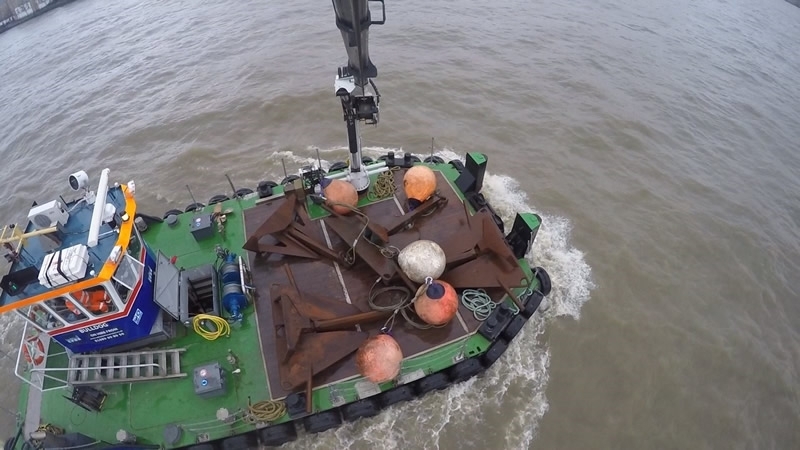 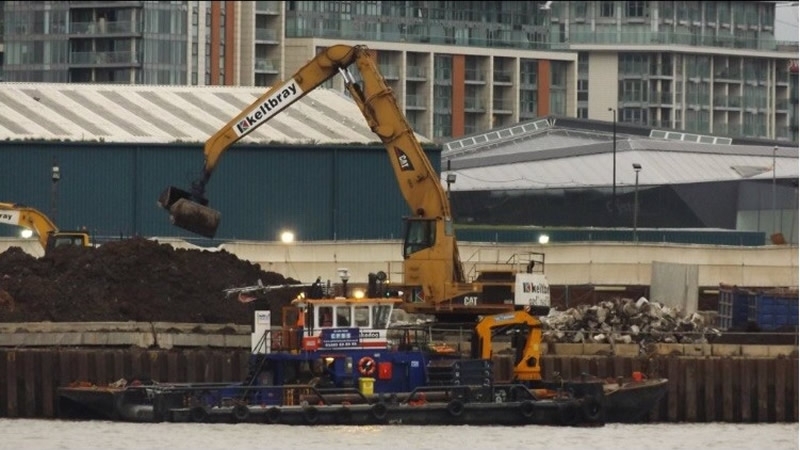 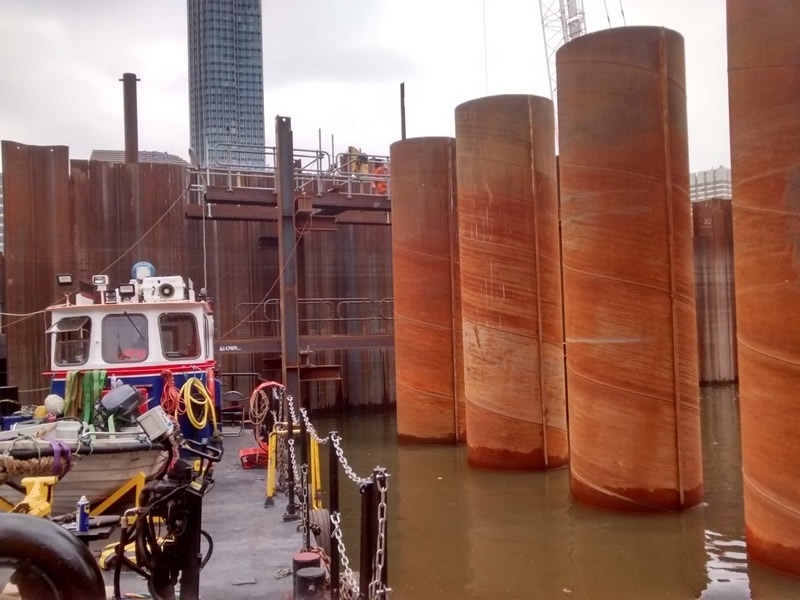 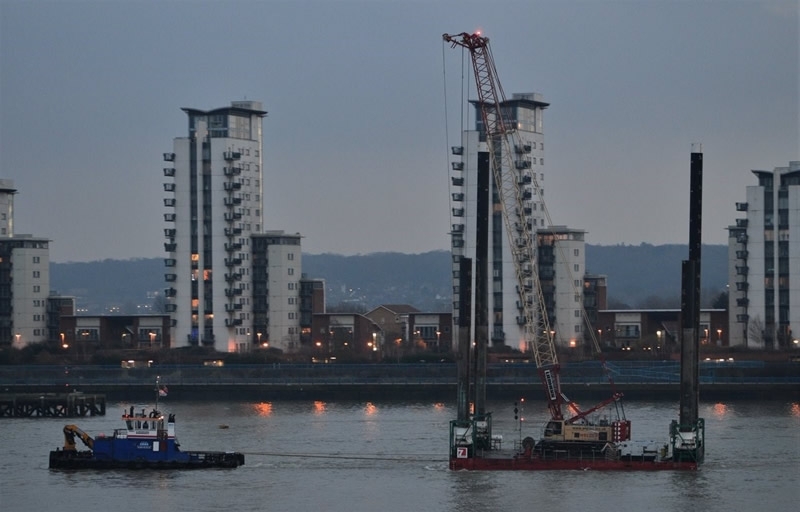 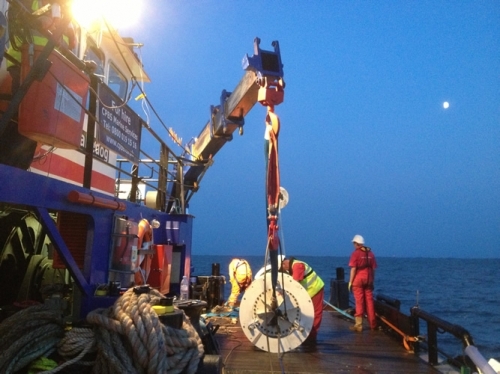 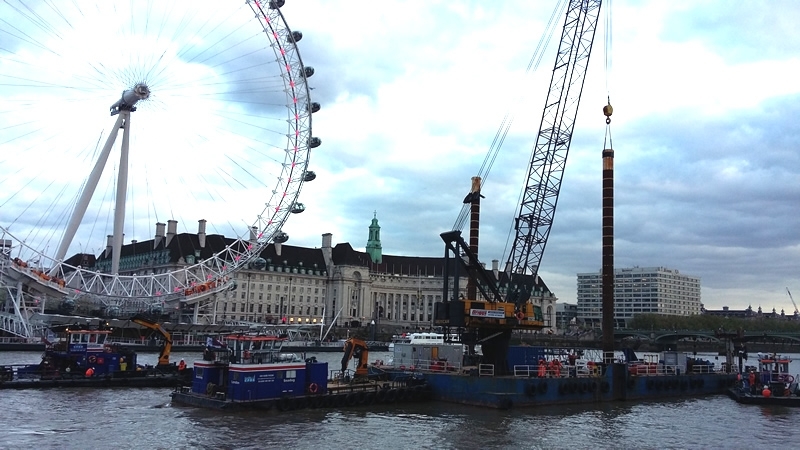 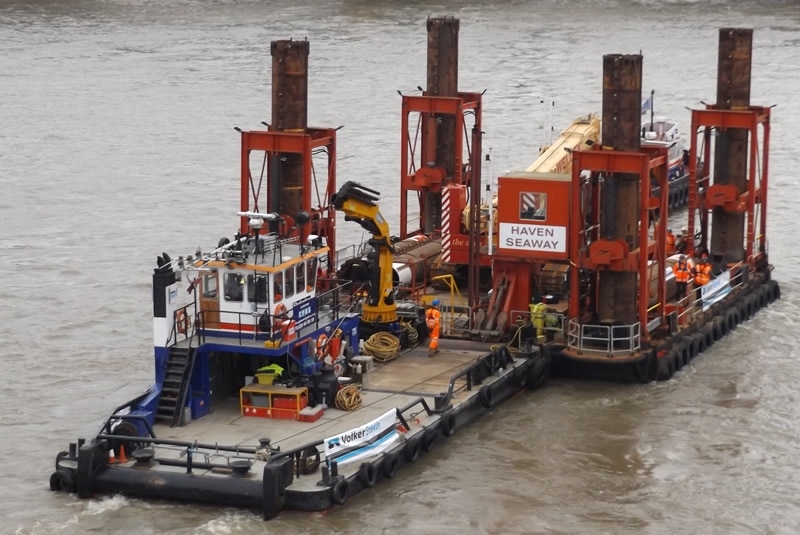 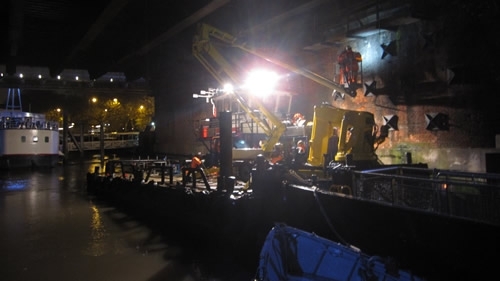 Working for FLOJV as part of the Thames Tideway Tunnel construction works. 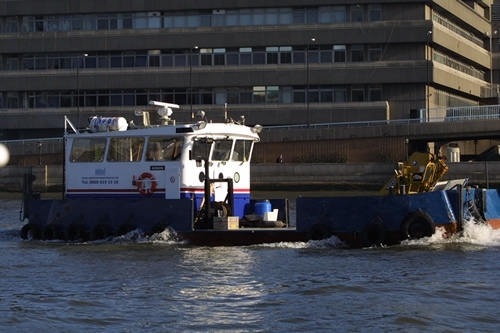 Shake Dog towing JUB Emotion from Tilbury to Shadwell on behalf of VolkerStevin. 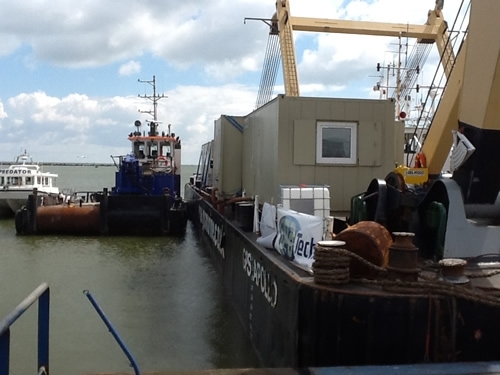 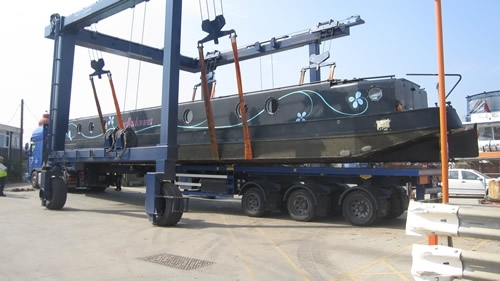 CPBS 'Dogs' moving the 'Tattershall Castle' floating restaurant ship for VolkerStevin. 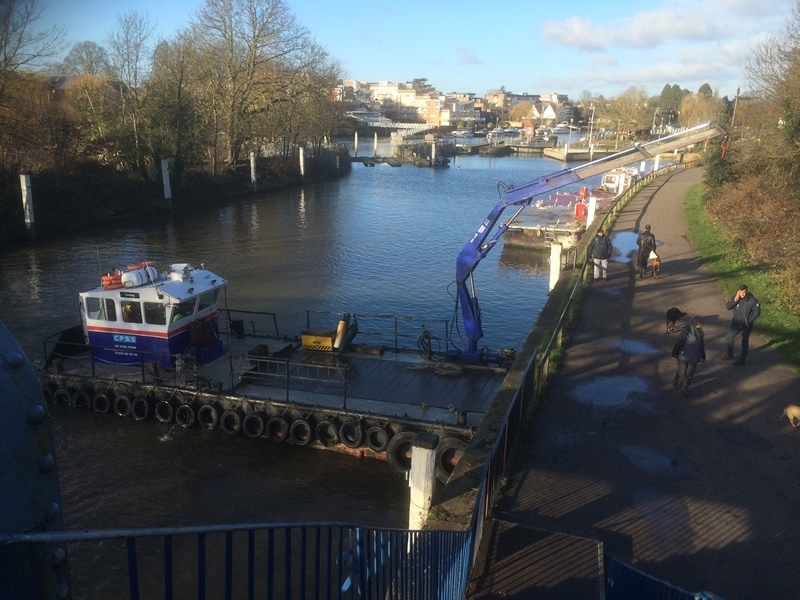 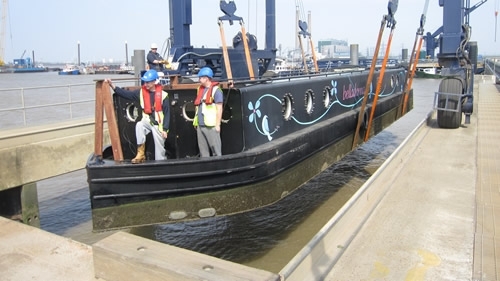 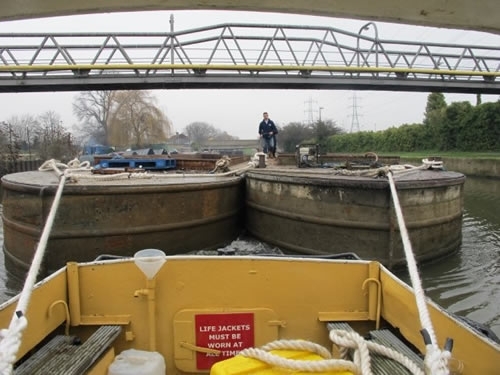 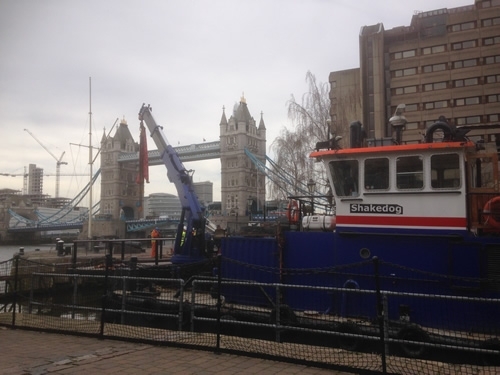 Shakedog successfully alongside Denton wharf after towing the Gloriana out of the boat lift follow a winter refit. 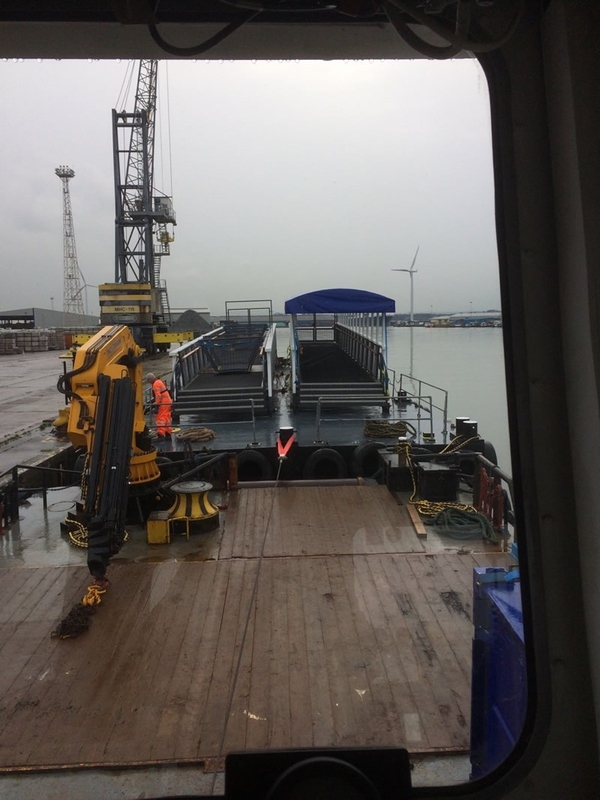 Shake Dog pushing Skate 2D for Sea Dog today from Tilbury dock to east Tilbury jetty. 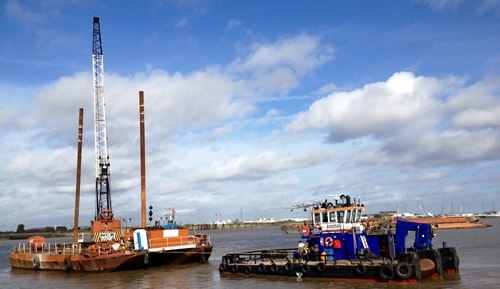 Bulldog relocating Crane Barge 'Maverick' at the Tattershall Castle site. 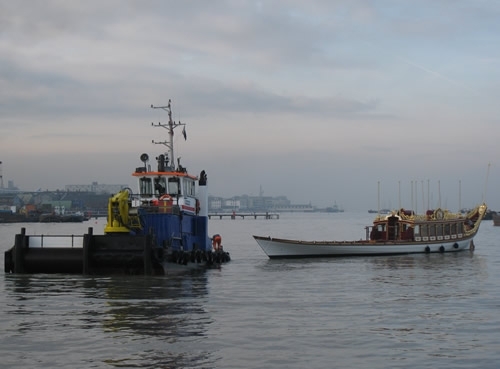 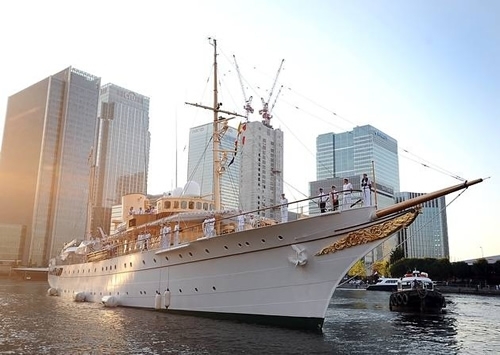 Sea Dog alongside the Tattershall Castle. 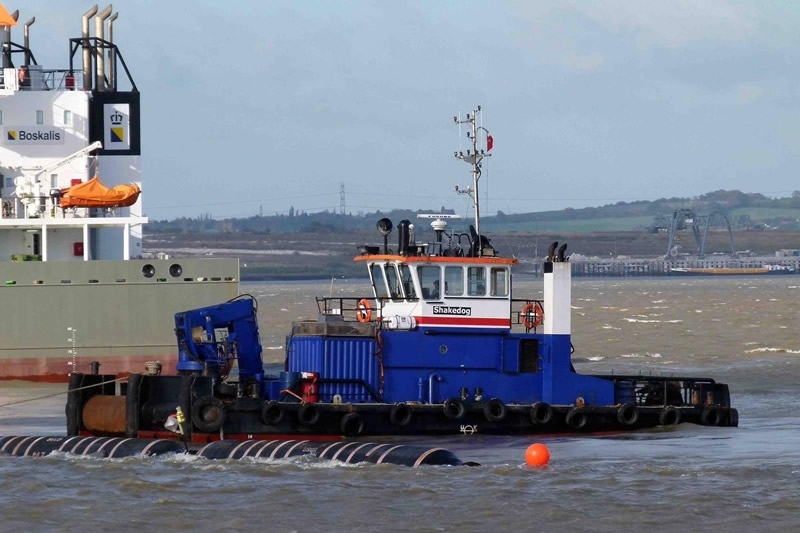 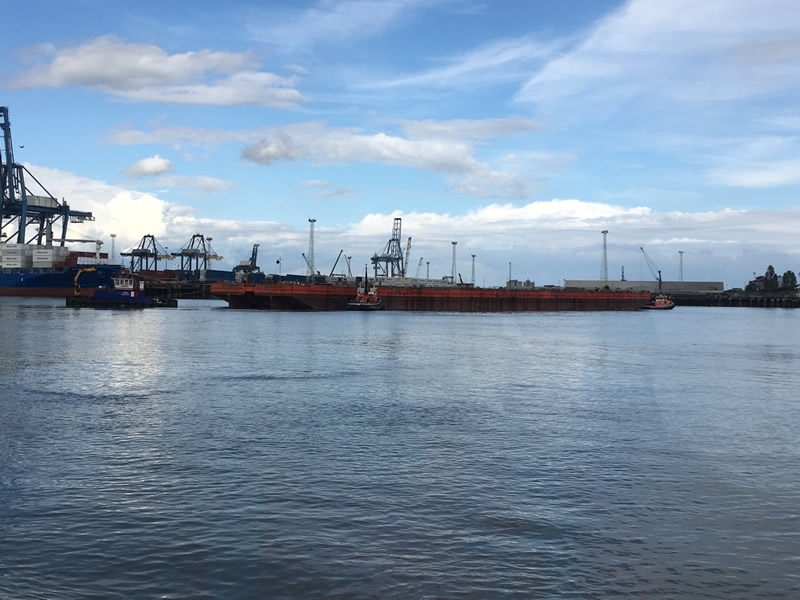 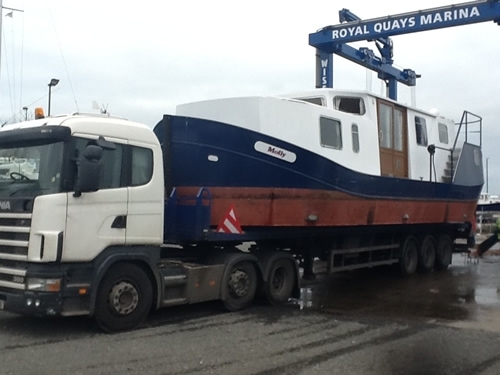 Sea Dog in Tilbury with flattop barge loading new brows for the Tattersahll Castle. 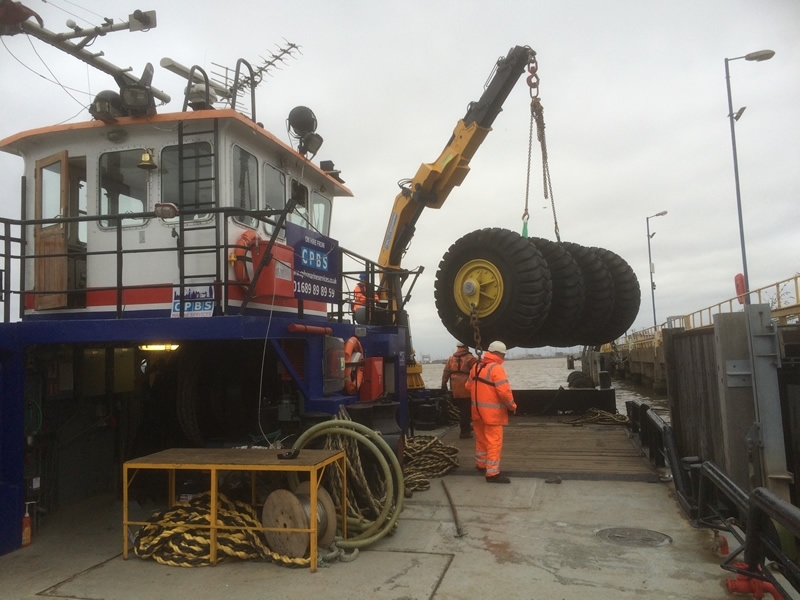 Shake Dog demobilising a JUB from Chambers Wharf to Northfleet. 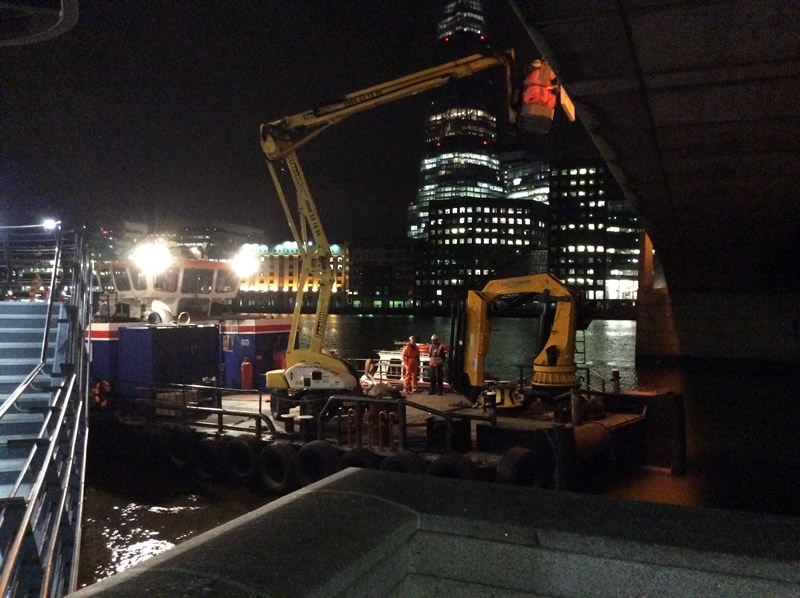 Sea Dog working at London Bridge on behalf of the City of London. 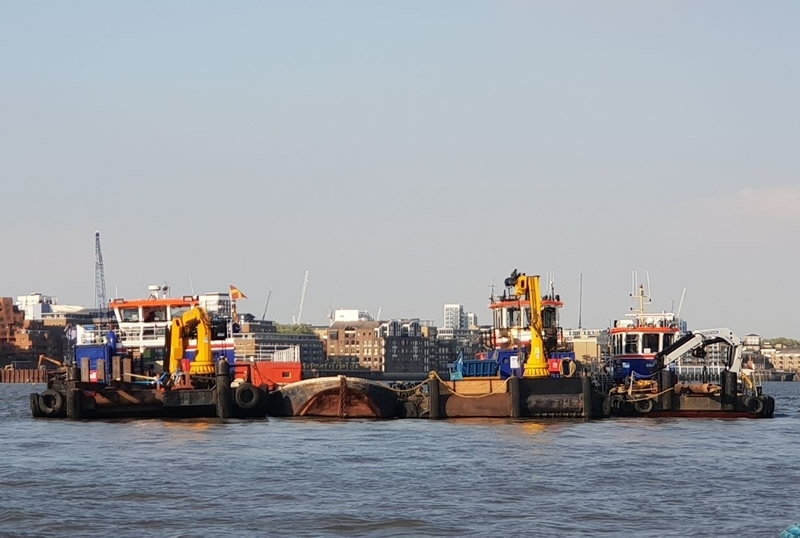 Bulldog, Sea Dog and Shake Dog at Blackfriars project. 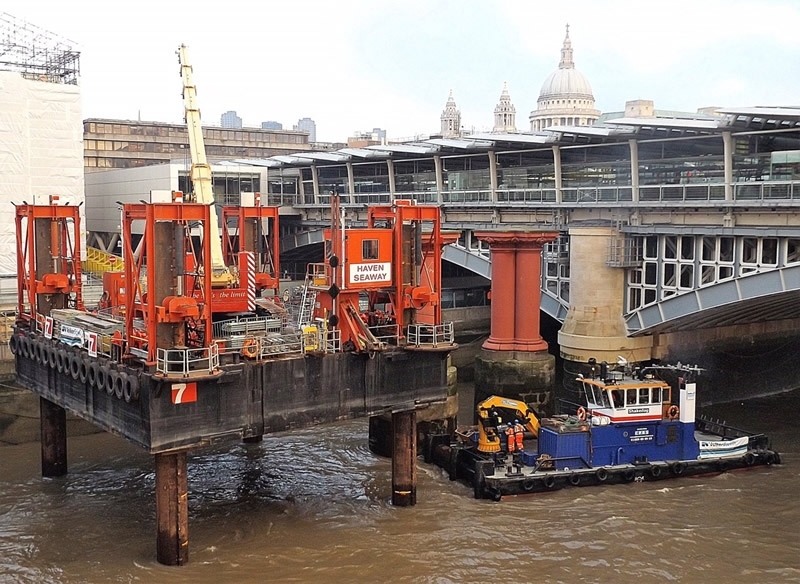 Watchdog working onsite at Blackfriars while heavy lifts take place. 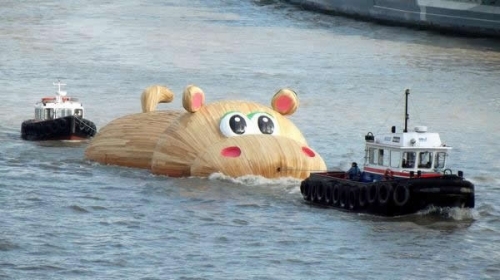 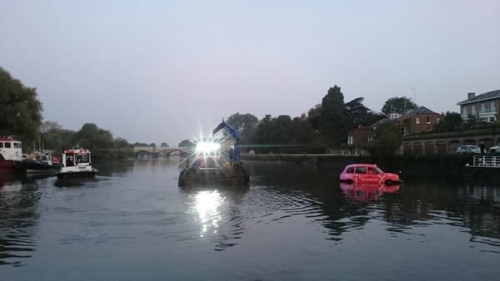 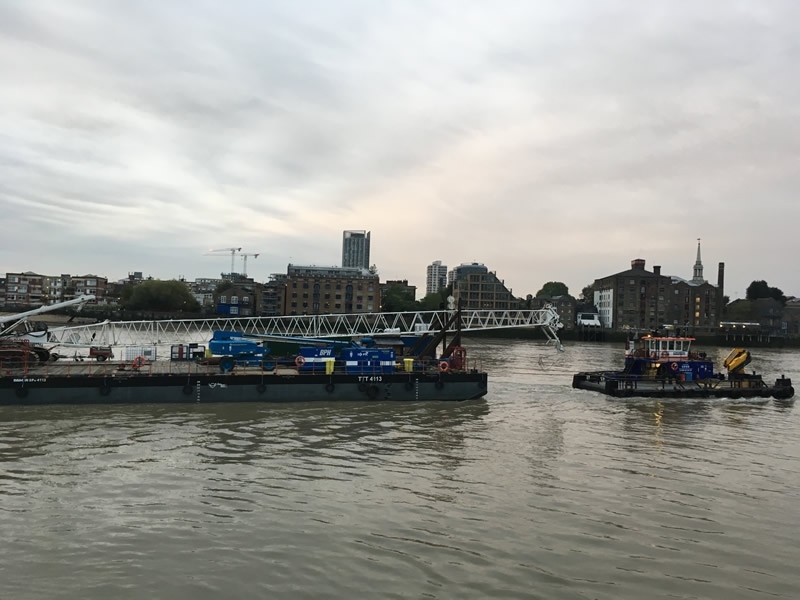 Mad Dog towing the floating lantern on behalf of the Thames Festival. 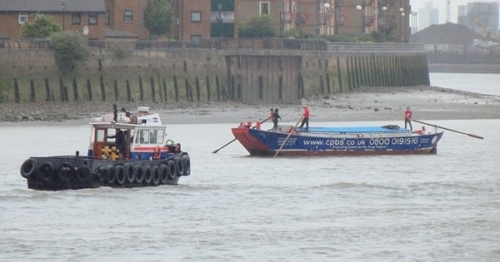 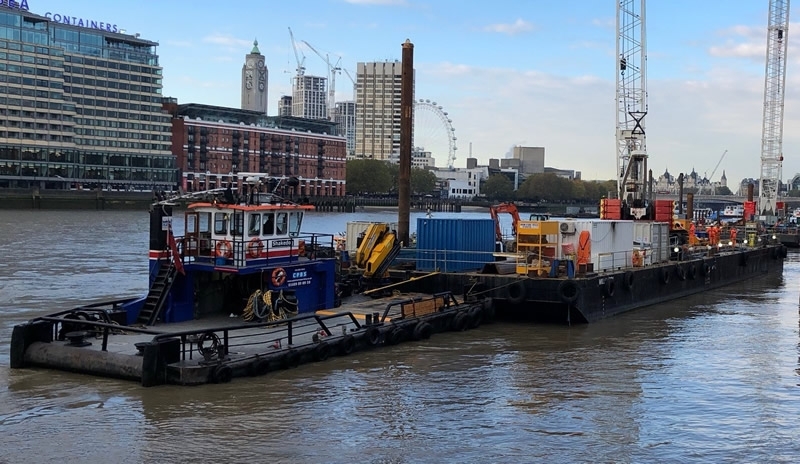 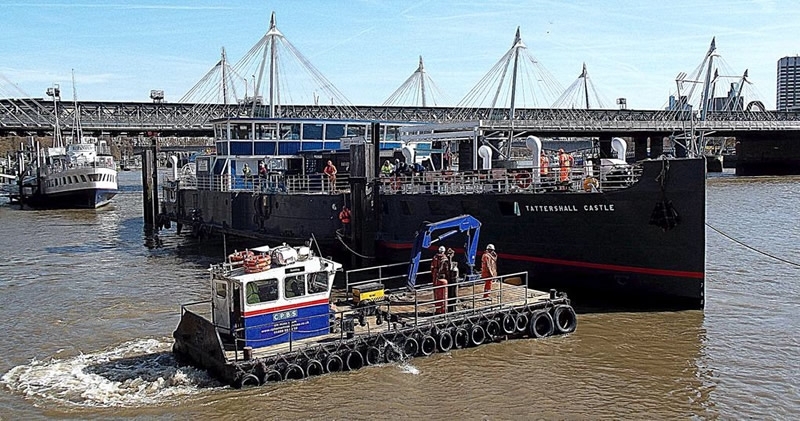 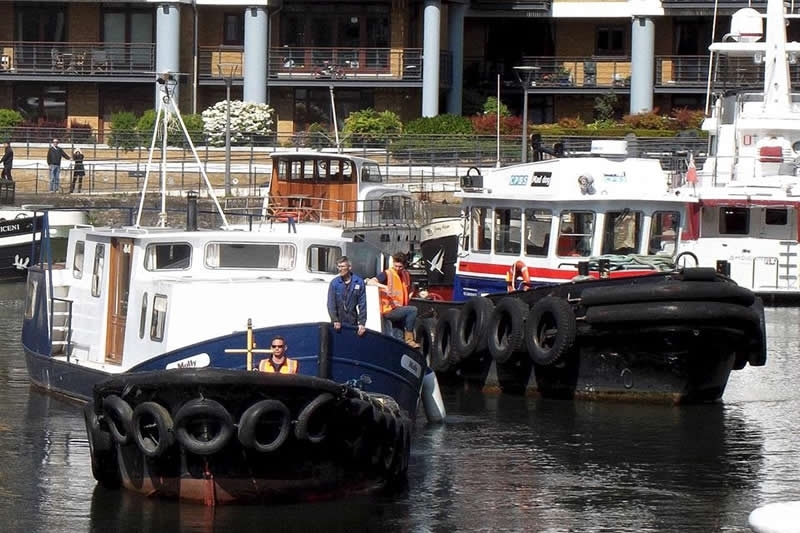 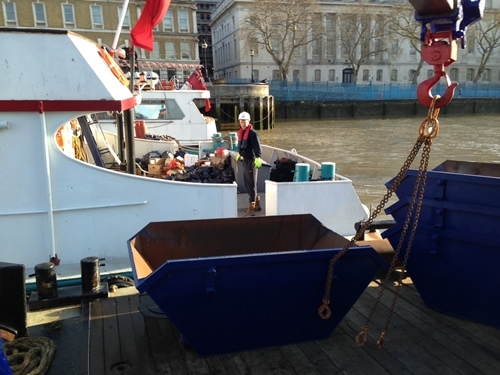 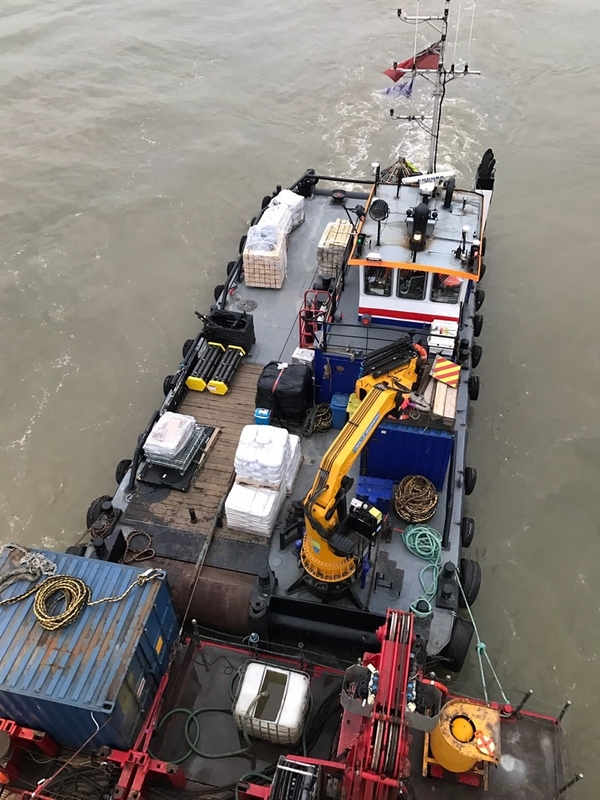 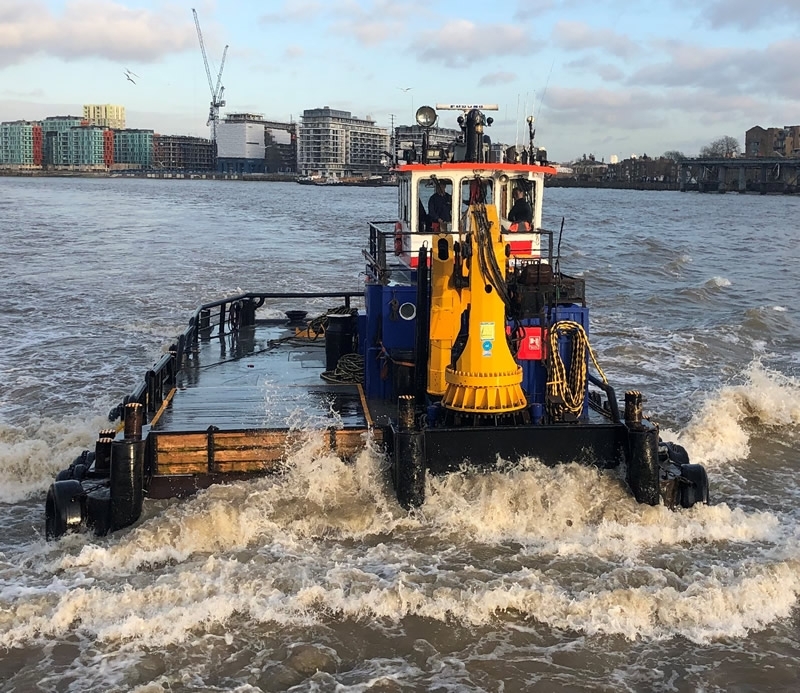 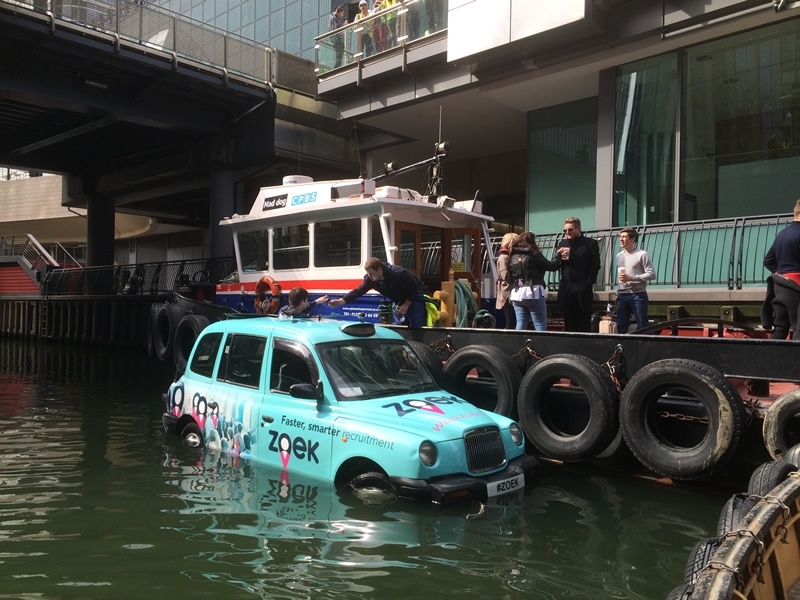 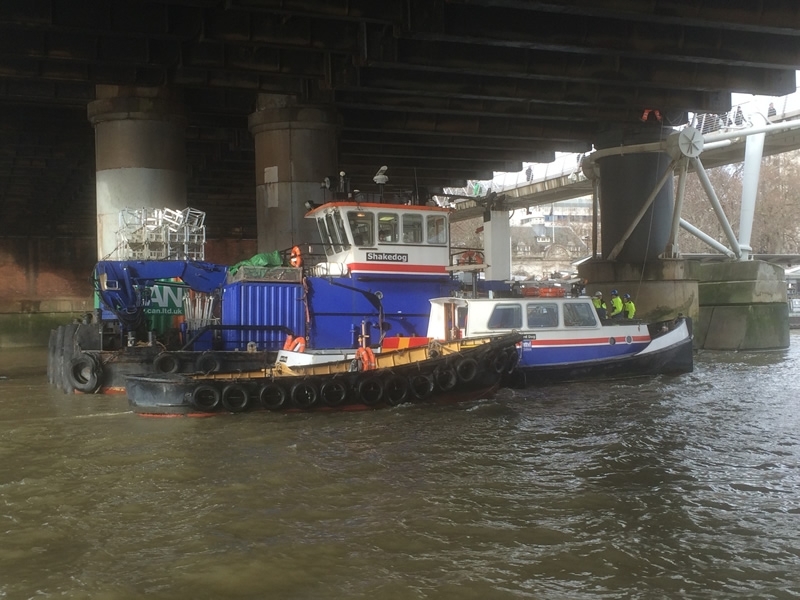 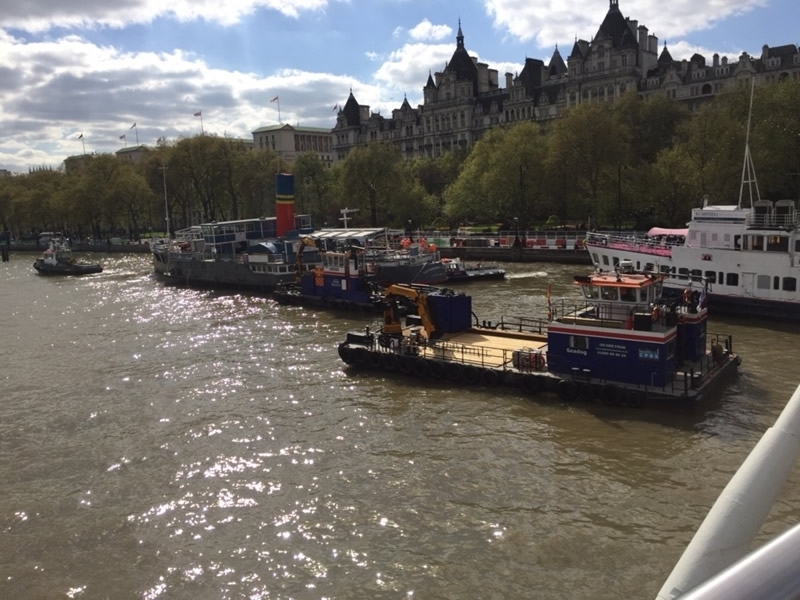 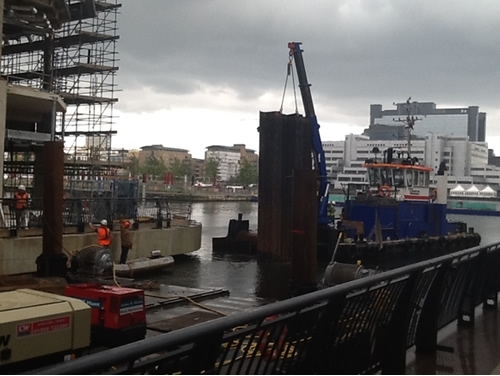 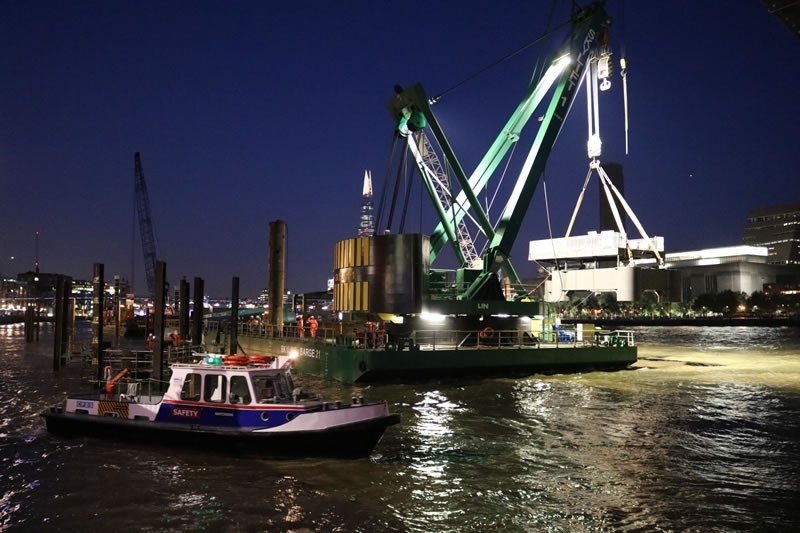 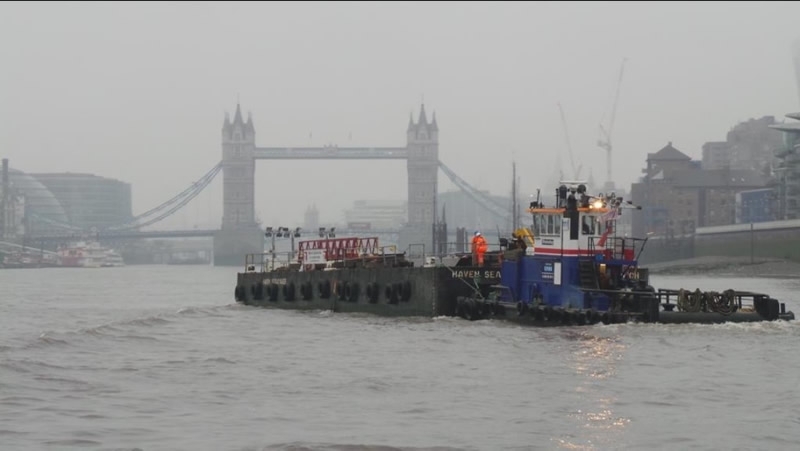 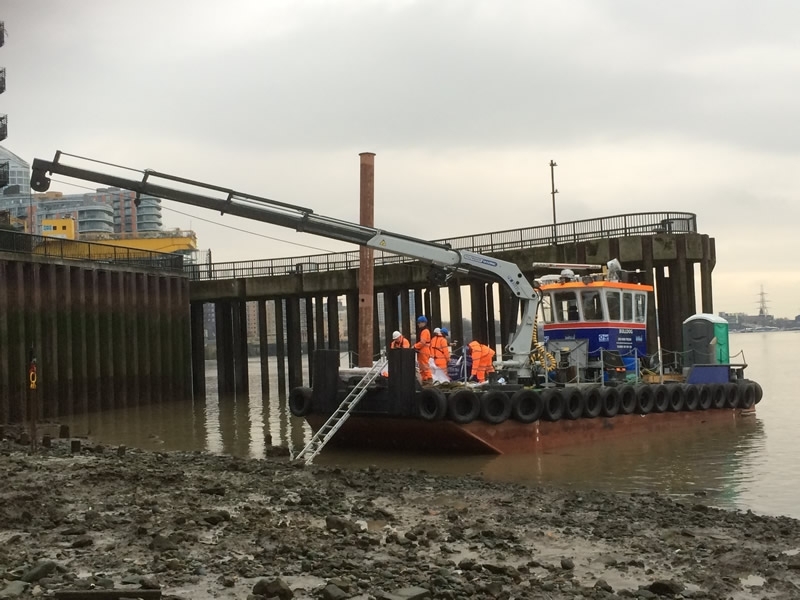 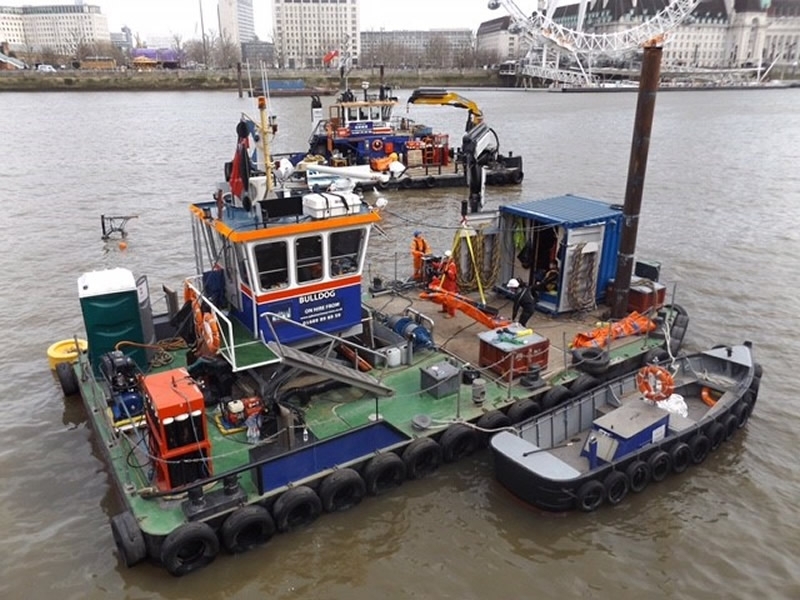 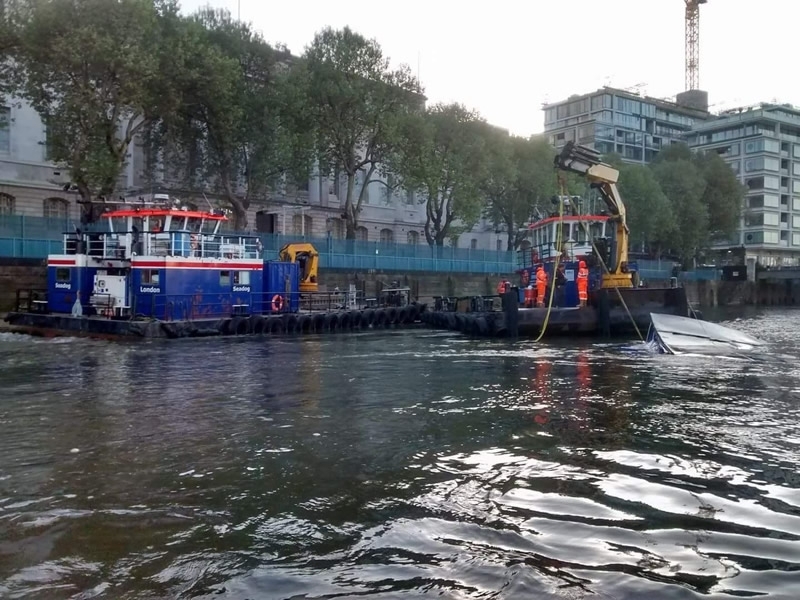 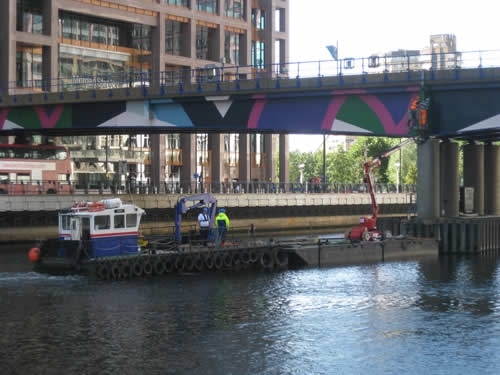 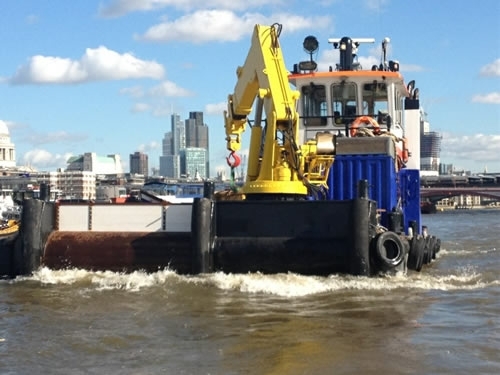 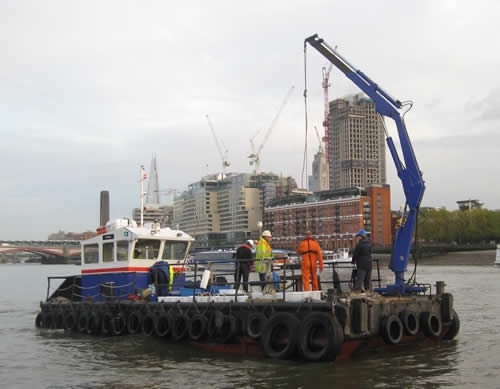 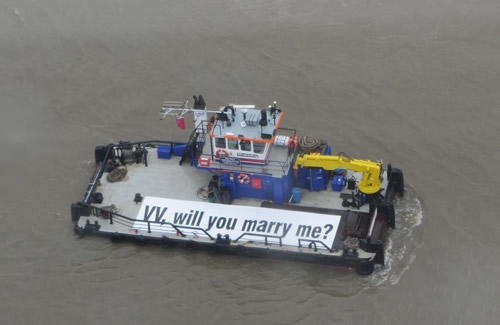 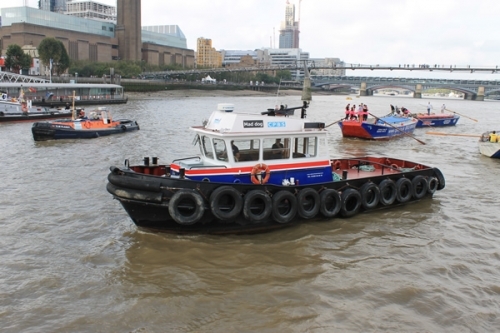 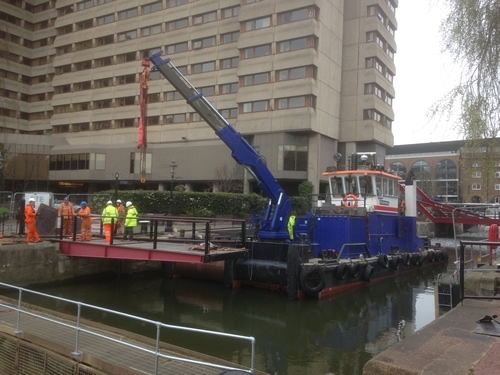 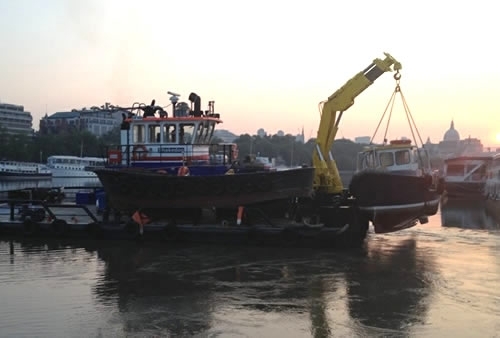 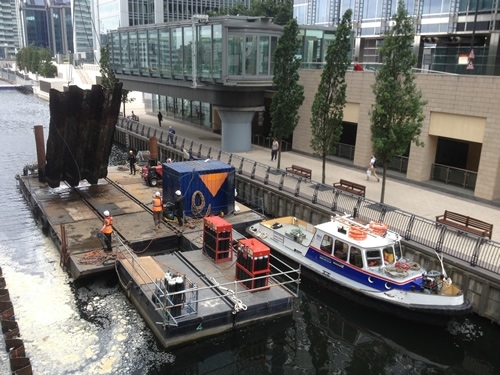 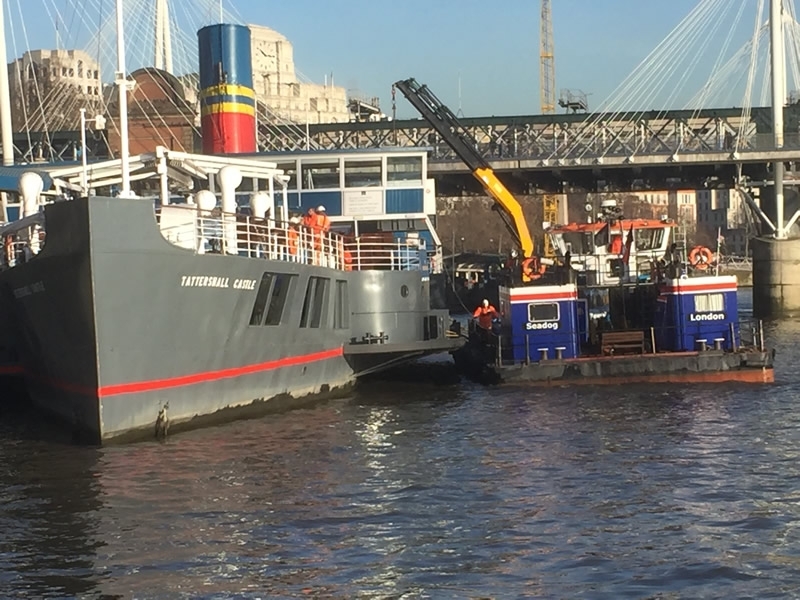 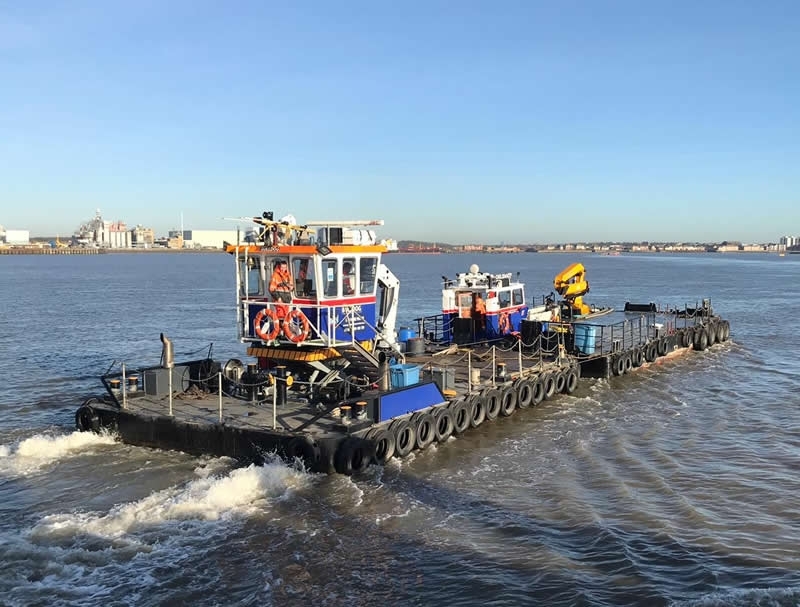 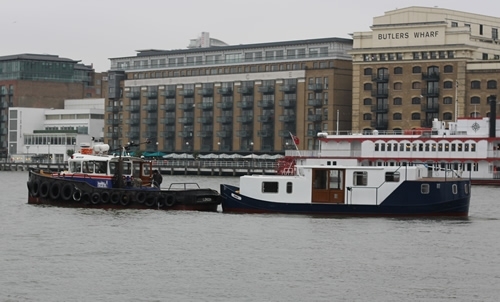 CPBS mulicats and tug working on behalf of Vokerstevin at Blackfriars. 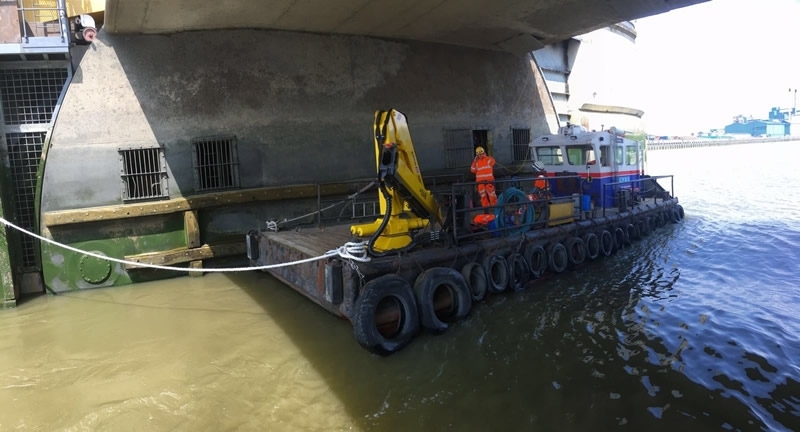 Gundog carrying out repairs to the Thames Barrier on behalf of Team 2100. 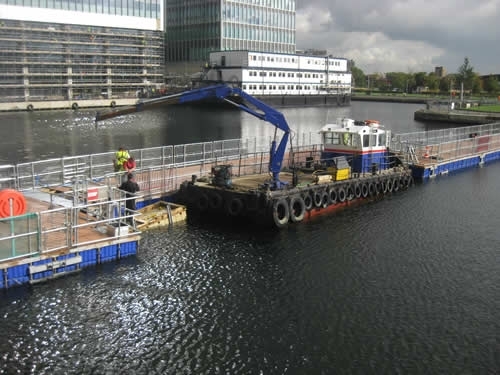 Bulldog and Shake Dog moving a sunken pontoon. 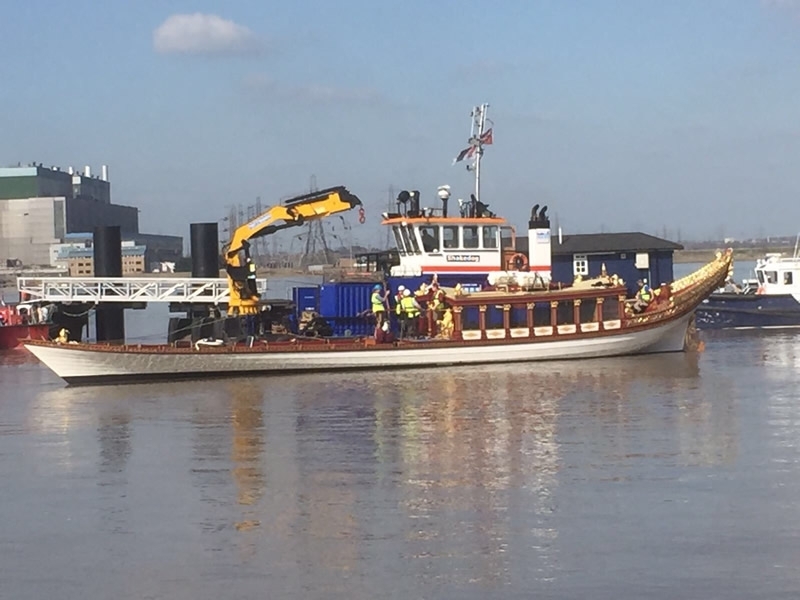 Bulldog and Shake Dog cutting and removing sunken barge. 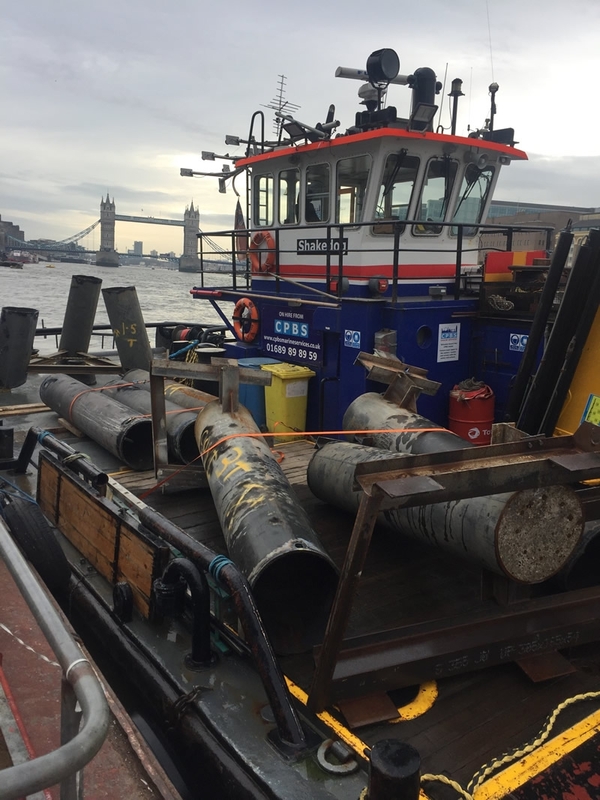 Bulldog deck loaded ready to lay anchors onsite. 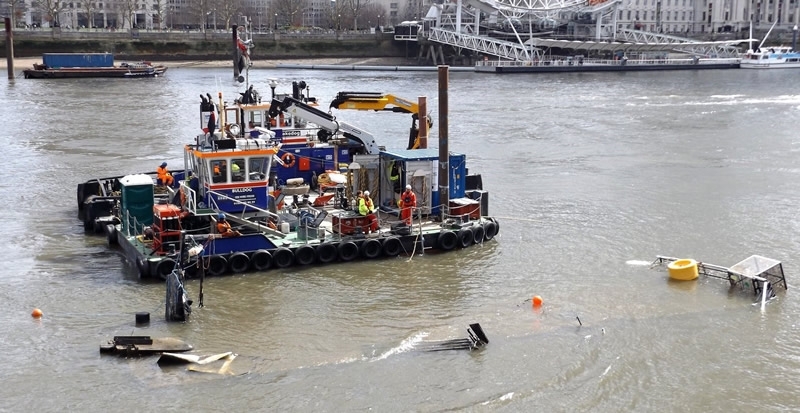 Shake Dog, Hotdog and Bulldog carrying out salvage operations at Westminster. 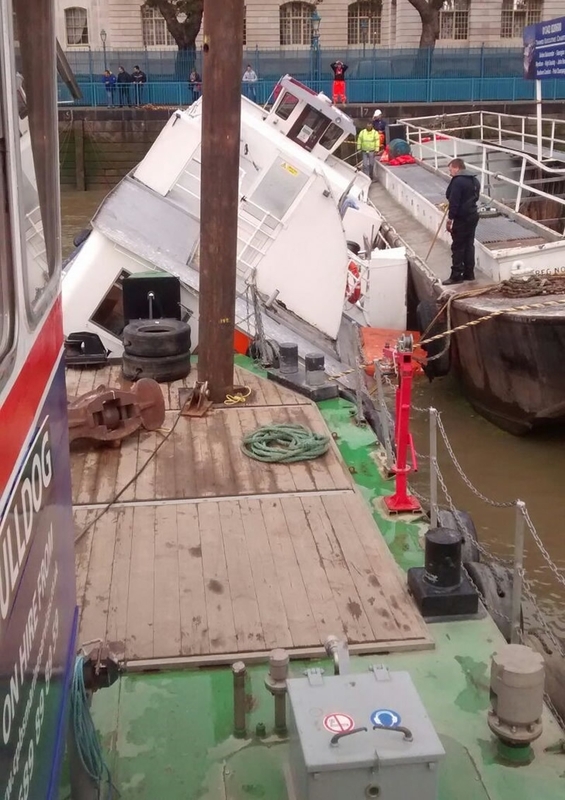 Shake Dog and Bulldog carrying out salvage operations at Westminer. 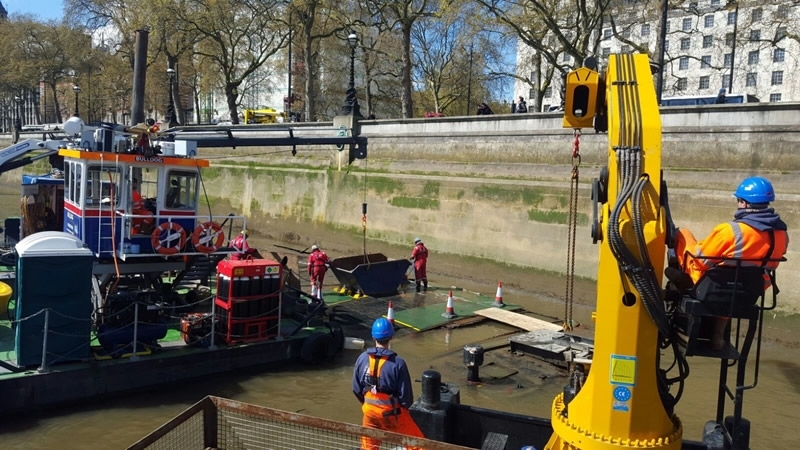 Shake Dog and Brom Lock carrying out salvage operations at Westminster. 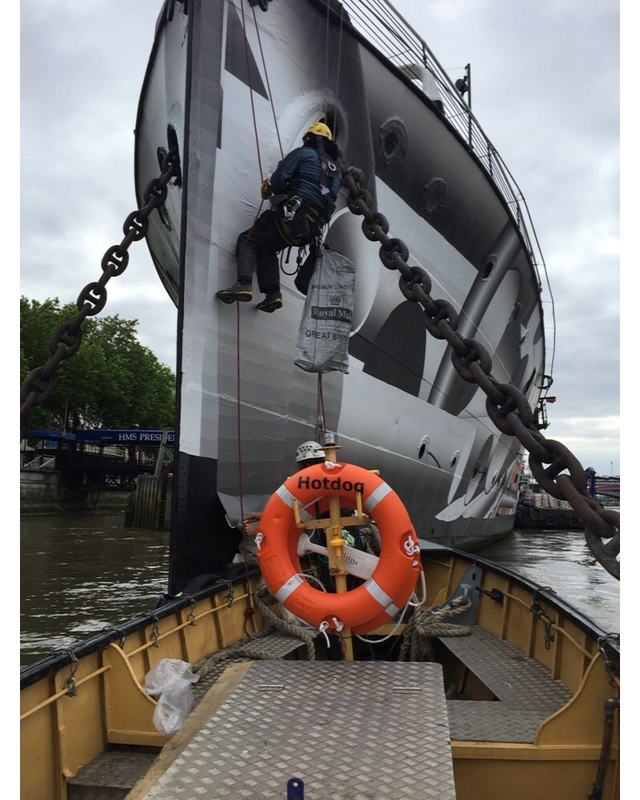 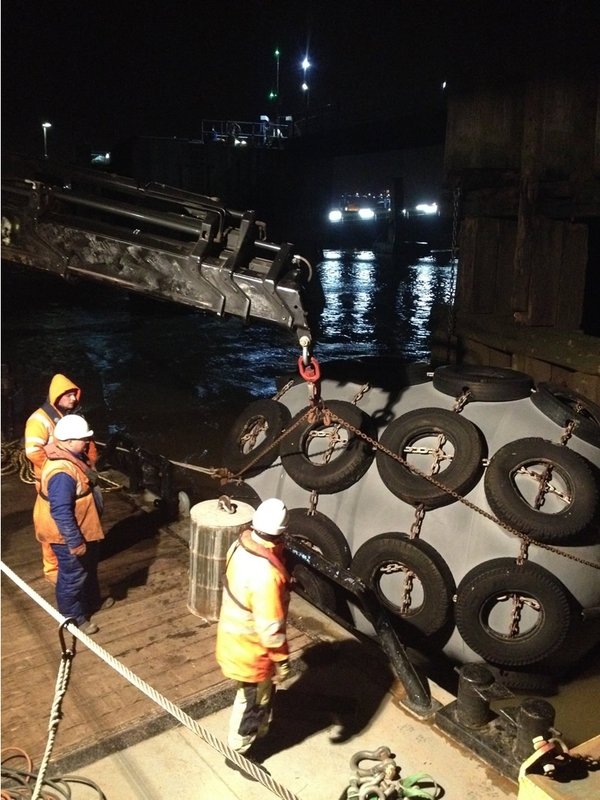 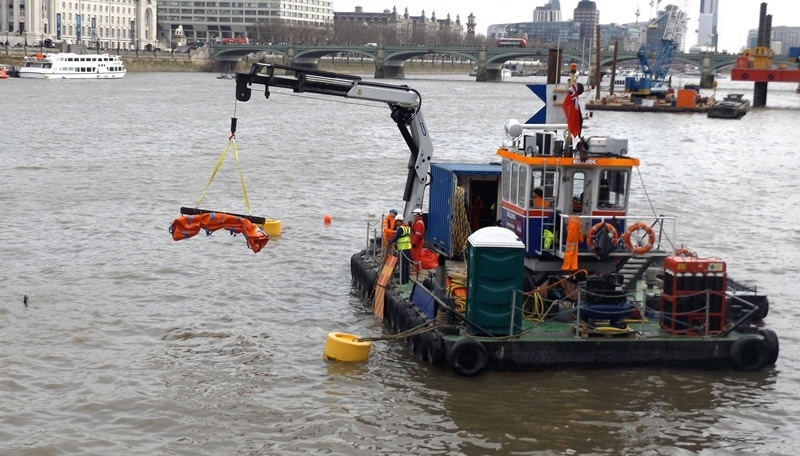 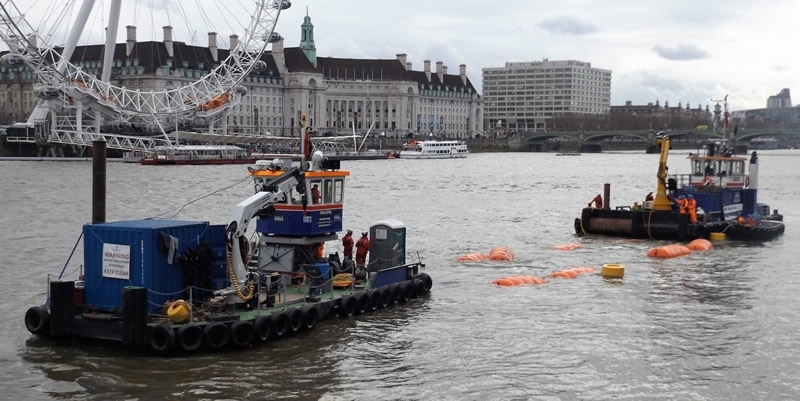 Bulldog installing airbag as part of the salvage operstions at Westminster. 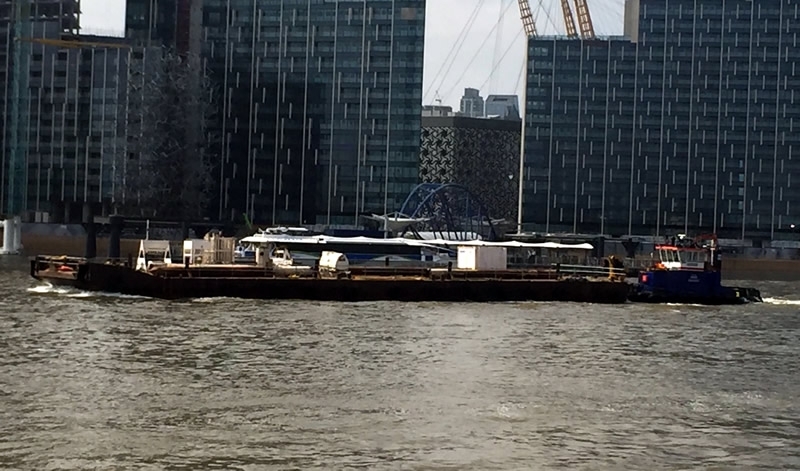 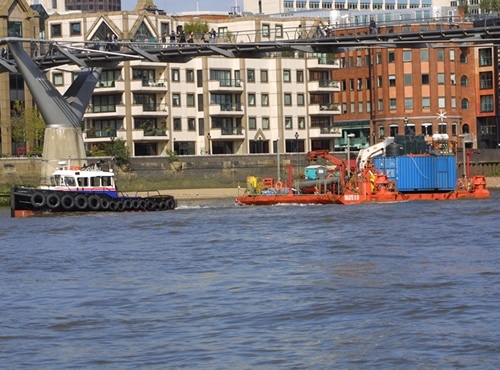 Shake Dog pushing flattop pontoon moving material between Blackfriars and Thames Wharf. 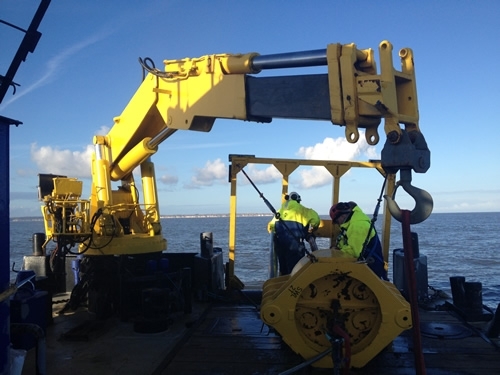 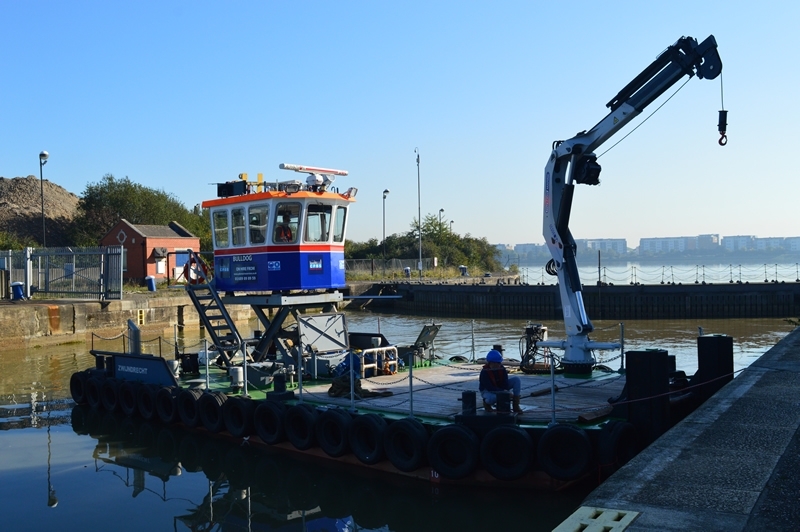 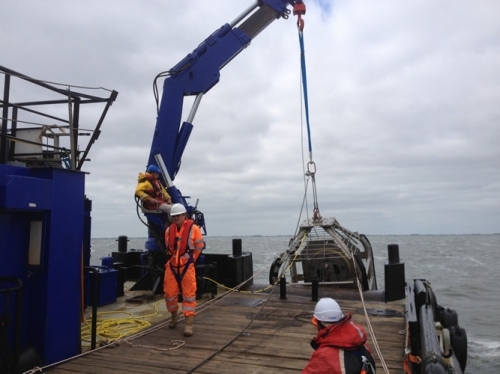 Shake Dog installing fenders at Purfleet deep jetty. 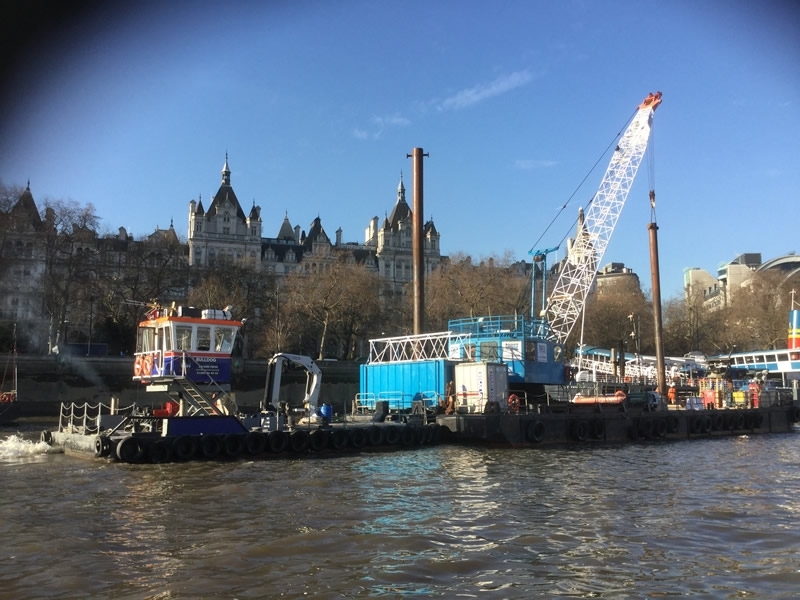 Shake Dog onsite at Blackfriars on behalf of VolkerStevin. 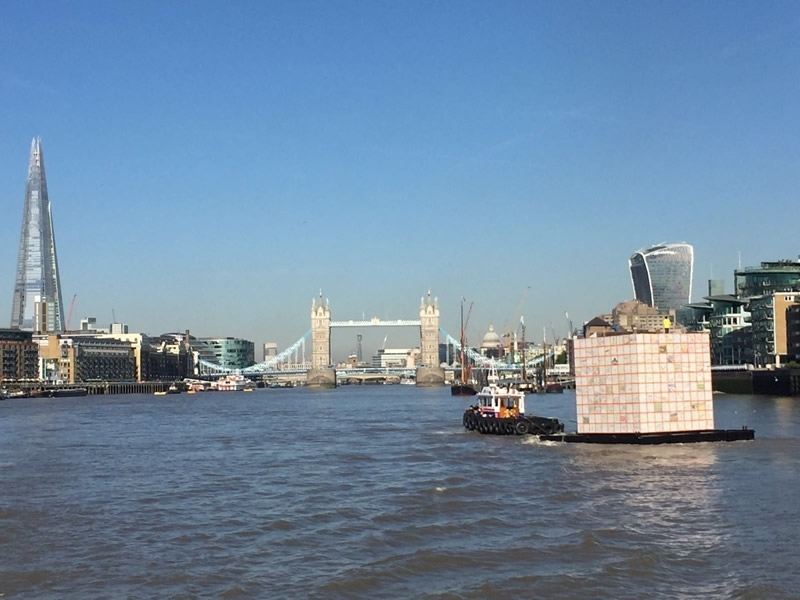 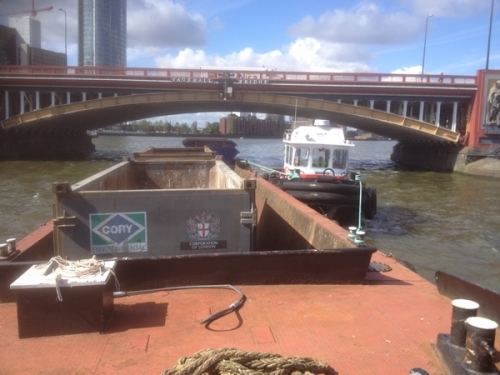 Shake Dog and Brom Lock assisting Volkerstevin with mud transfer between Blackfriars and Thames Wharf. 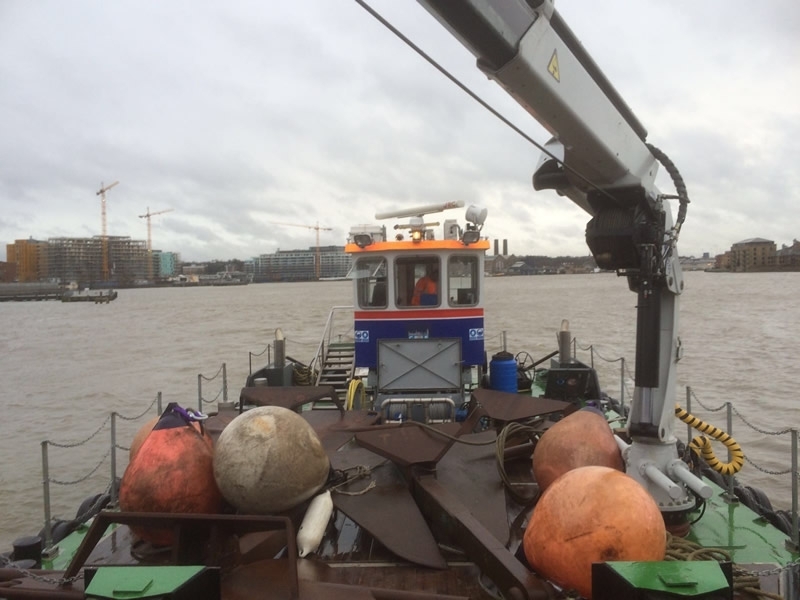 Bulldog anchor handling for Volker Stevin. 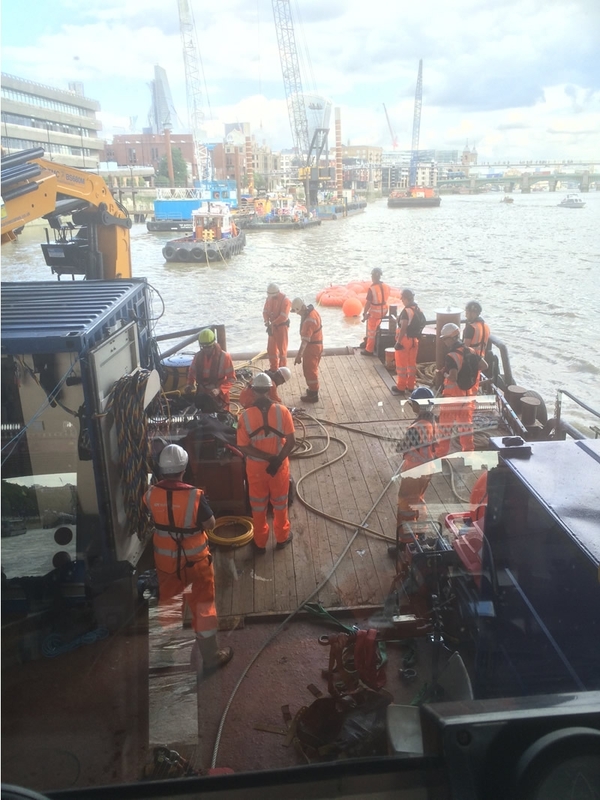 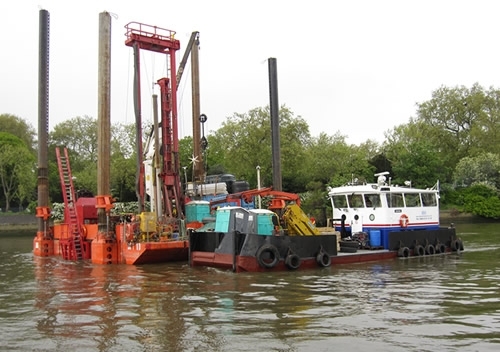 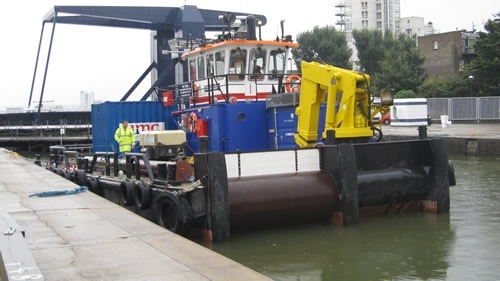 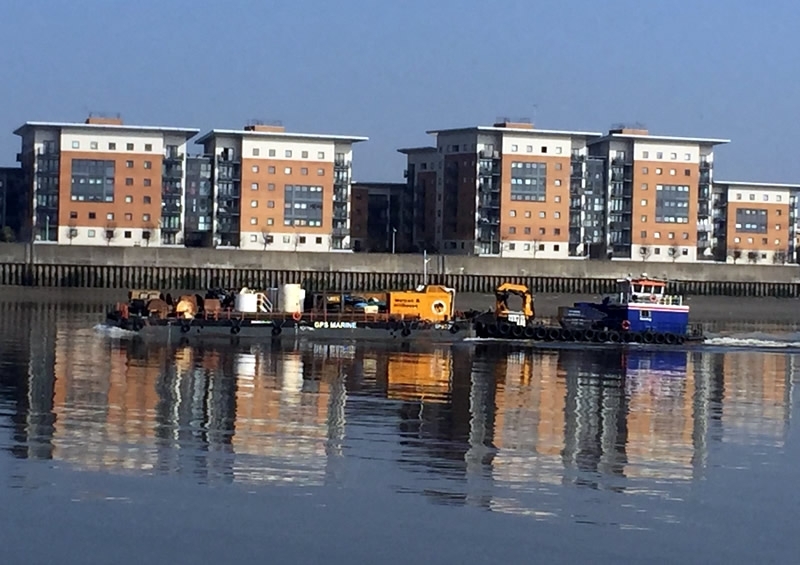 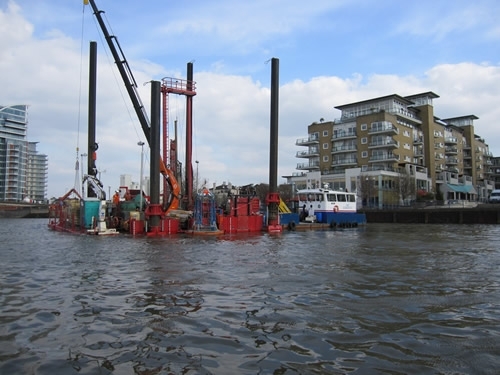 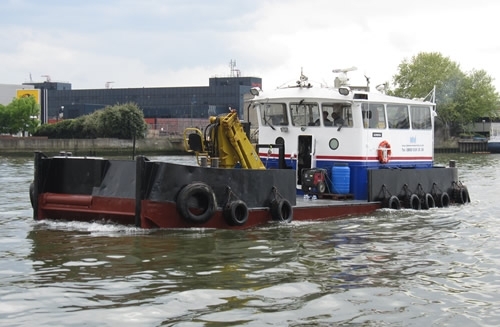 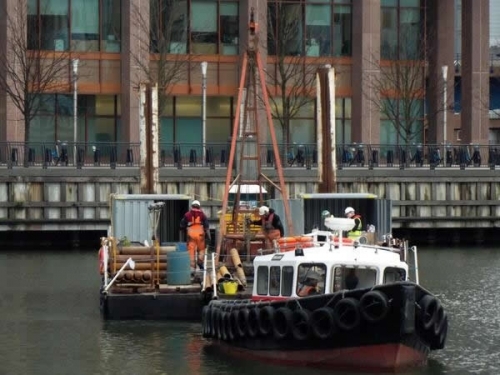 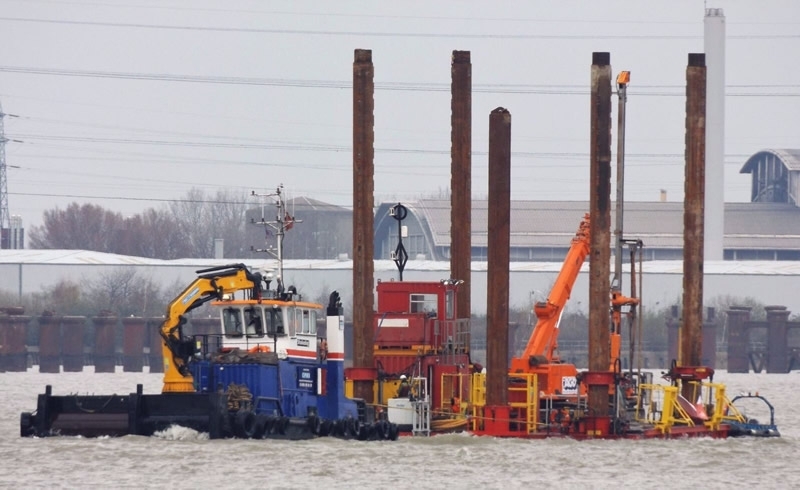 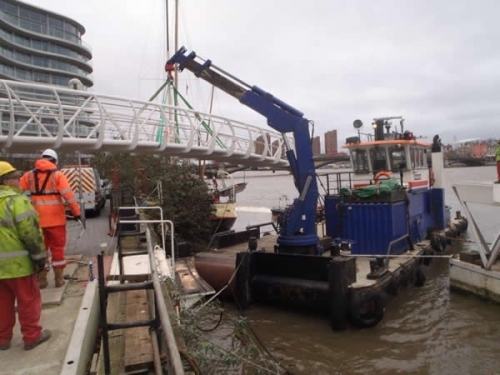 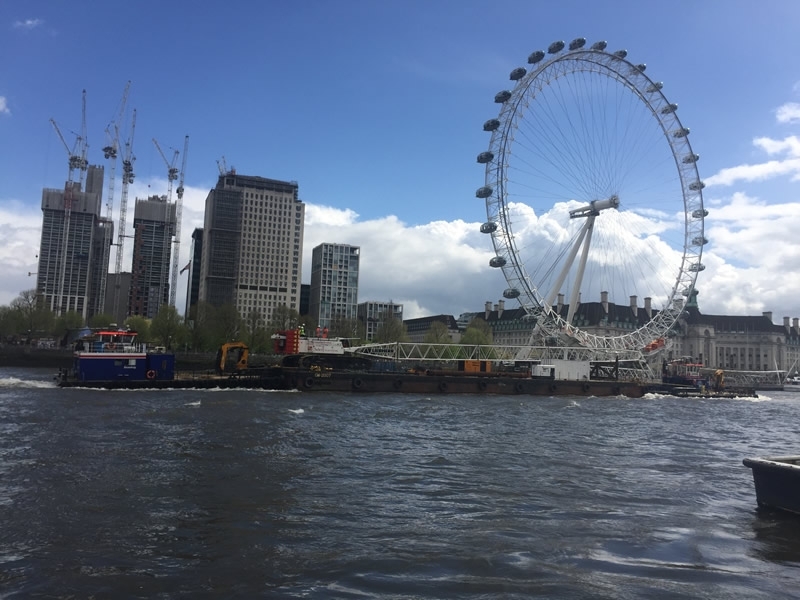 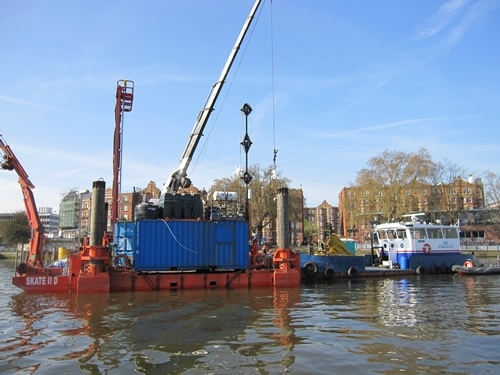 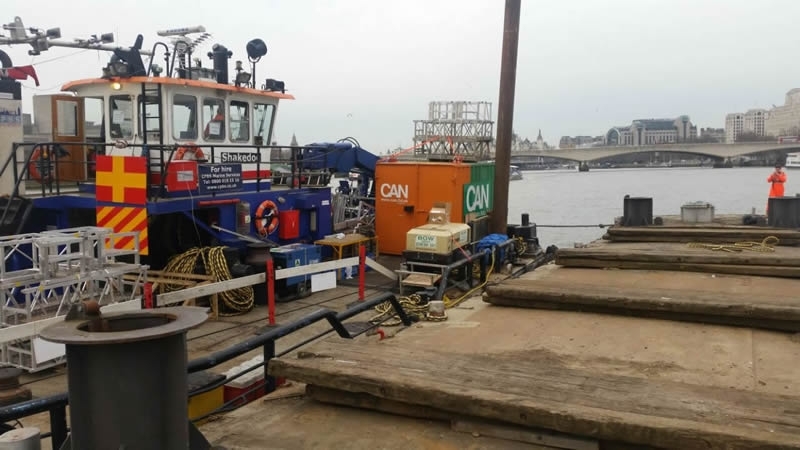 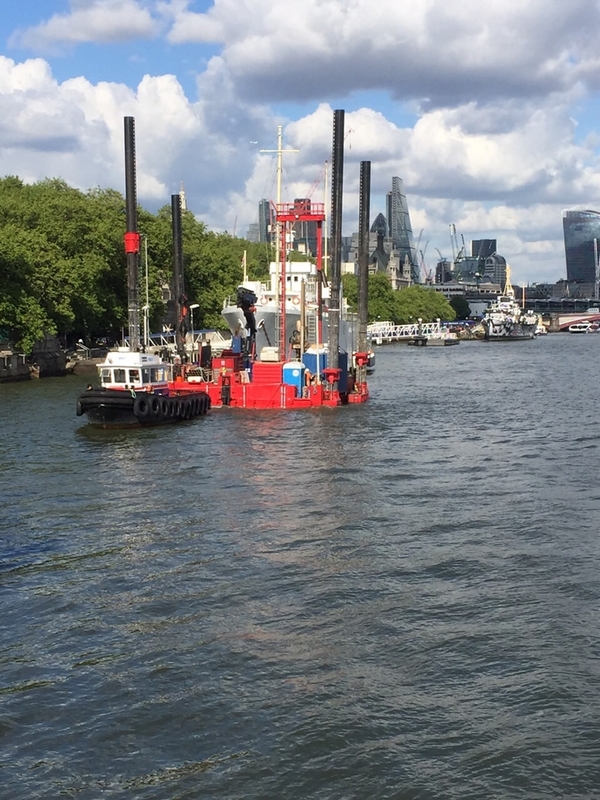 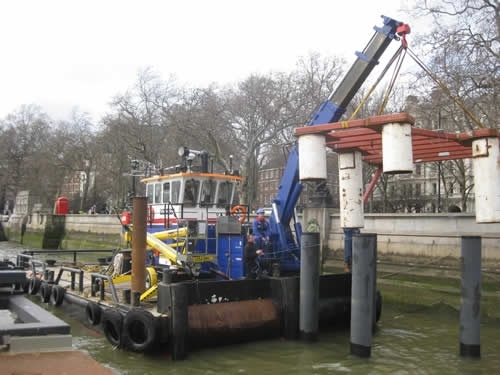 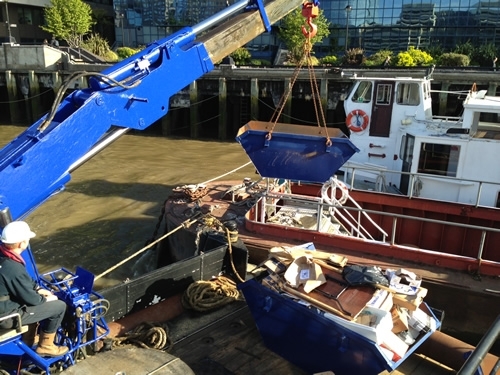 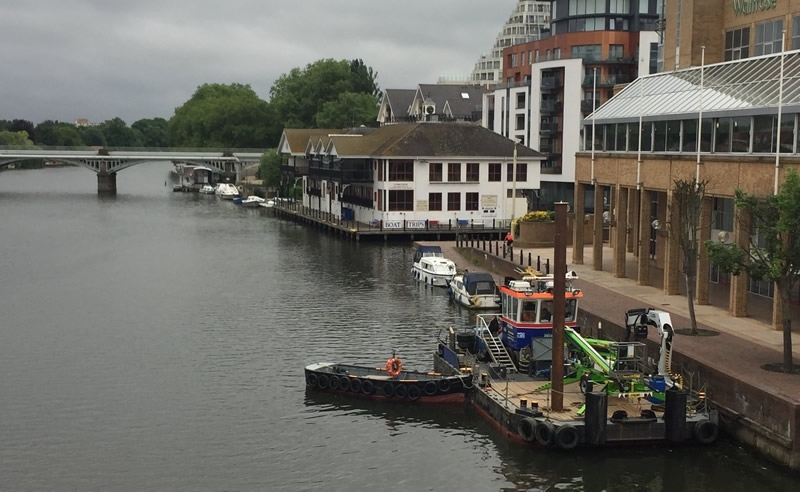 Shakedog preparing to carry out vibracore works on the River Thames. 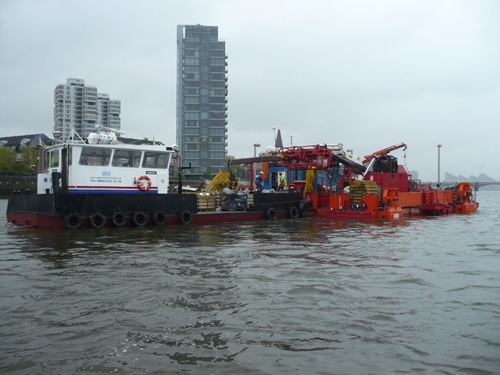 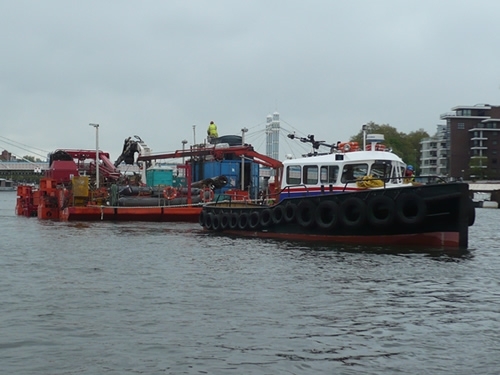 MPV Shake Dog working with Boskalis Westminster assisting a dredger. 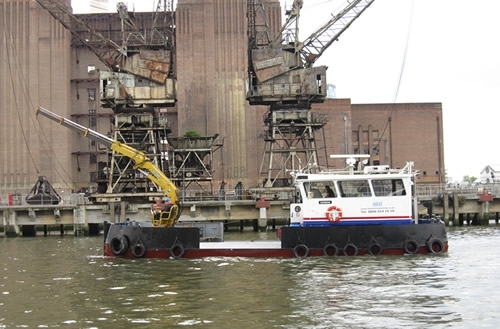 Shake Dog multicat type vessel. 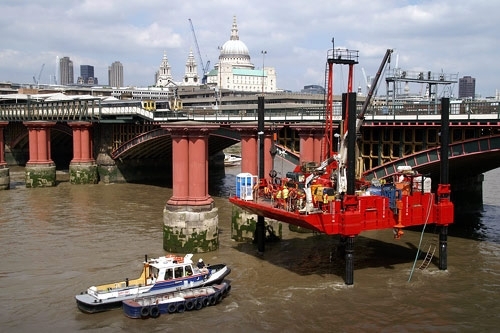 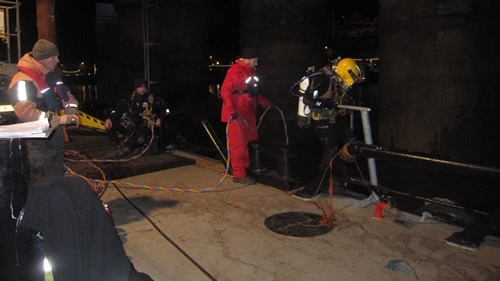 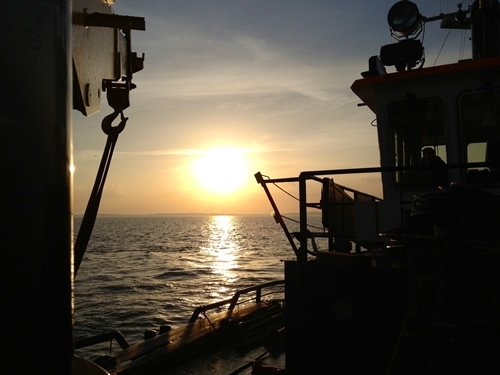 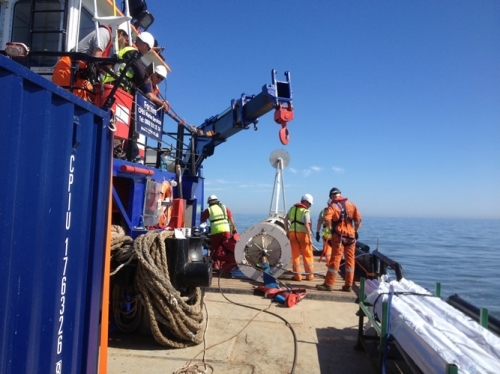 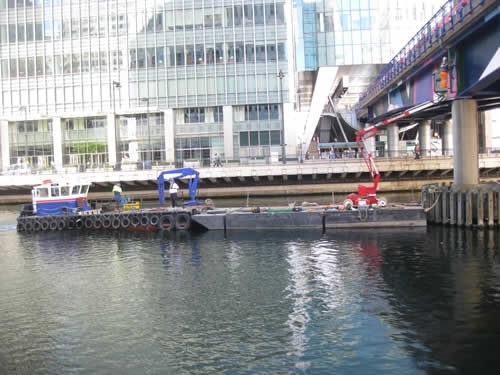 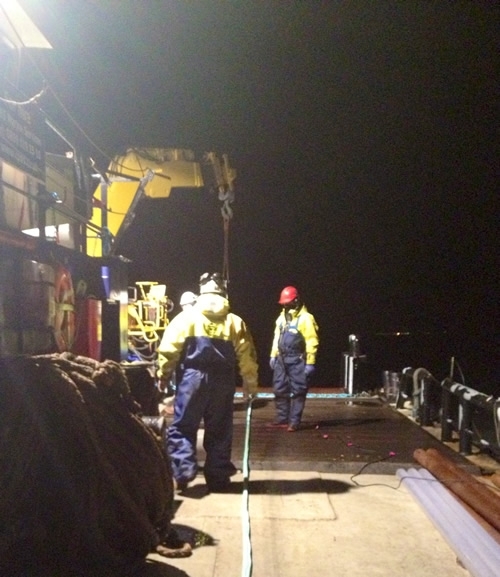 Shake Dog working in Central London as a dive platform for UMC/ Shell UK in Oct 2012. 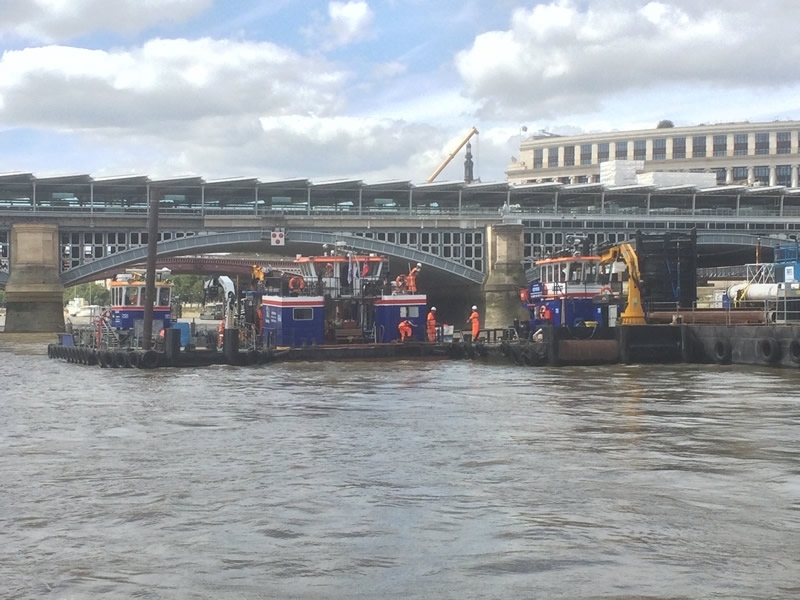 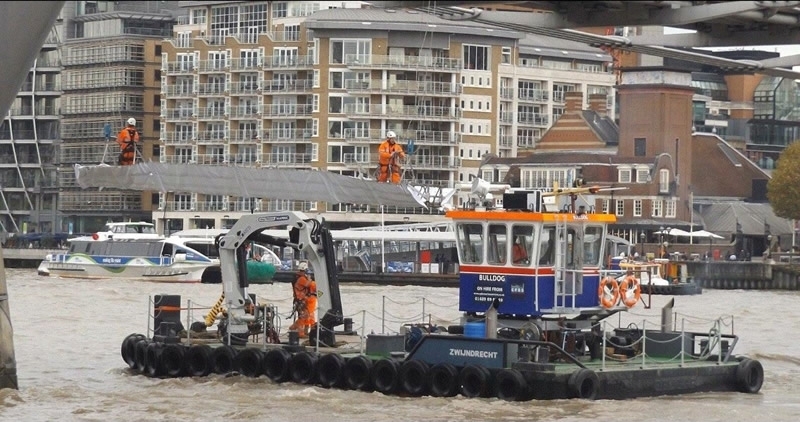 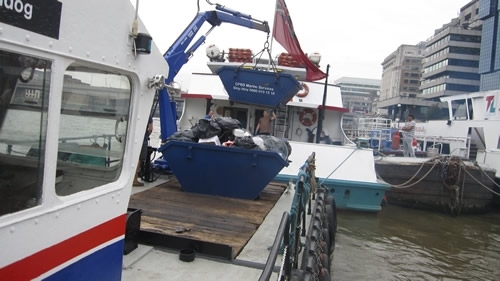 Watchdog & Hotdog on safety boat duties at Blackfriars Bridge for Balfour Beatty.